If you’re not a marketer, keeping up with all of the changes and updates in the marketing industry can be challenging (it’s even challenging for us marketers to keep up with everything). At Firetoss, we want to keep you informed on the biggest updates happening within our space. So, here are some of the interesting and unexpected updates and changes we’ve seen in technology and digital marketing recently. On March 13th, Google confirmed the release of a broad core algorithm update that many SEOs had been speculating about after seeing massive ranking volatility. On top of that, Google issued a new naming system for their updates to avoid confusion and notify users of the type of update and when it happened. So, officially the “March 2019 Core Update,” SEOs and webmasters alike are trying to figure out what the update was targeting. Many believe that as opposed to a mere update, it was actually more of a reversal of the “Medic Update” released last year that caused waves in SEO communities and forums (we even dedicated two blogs to it). This speculation is based on the fact that some websites saw recoveries after seeing significant drops in traffic and rankings during the major update last fall. However, not everyone saw a recovery from the previous core update. Search Engine Land collected data from a survey where 58.1% claim they saw a recovery, while the other 41.9% did not. While it’s still too early to know what this update really means, we will keep you notified as new information is released. Recently, Google announced it would be getting rid of the average position metric. Google is constantly changing and updating across its platforms in an effort to improve, however, what makes this announcement so shocking is that average position was one of the original search metrics and has been used by account managers, business owners, and marketers for years. So, why the change? Google is replacing the average position with other metrics thought to more accurately represent an ads prominence on a page. Until now, the average position metric has been used to identify the ordering of paid search results. However, if your ad is reported to be in the #1 average position, this doesn’t always mean that it appeared at the top of the SERP. Due to this discrepancy, Google doesn’t think the metric is as relevant and useful anymore (and many marketers agree). Instead, late last year, Google rolled out Top Impression Rate, Absolute Top Impression Rate, Top Impression Share, and Absolute Top Impression Share. These metrics are essentially meant to supply the same information to ad managers and owners but in a clearer way. So, if you have been using average position as an essential insight to direct your bidding strategies, you may want to add these newer metrics into your gameplan. Average position won’t disappear until September, so you still have time to adjust. Google recently released the latest Google Chrome web browser update, Chrome 73.0.3683.75. With this new update, a new default search engine option was added in over 60 countries, including the U.S. and U.K. The new option is for DuckDuckGo, a search engine that rivals Google and promotes privacy online. At a time when Google is under fire for it’s privacy policies, DuckDuckGo has been proving popular, resulting in increasing query volumes. As DuckDuckGo continues to grow, it’s not outrageous to believe that the privacy-focused search engine will eventually exceed Yahoo’s market share. So, it might be time for SEOs to start paying attention to this search engine darkhorse. In the coming weeks expect more information and updates about the March 2019 Core Update. We will start seeing more websites affected, whether good or bad and hopefully, start noticing patterns that can help us understand the update’s purpose. 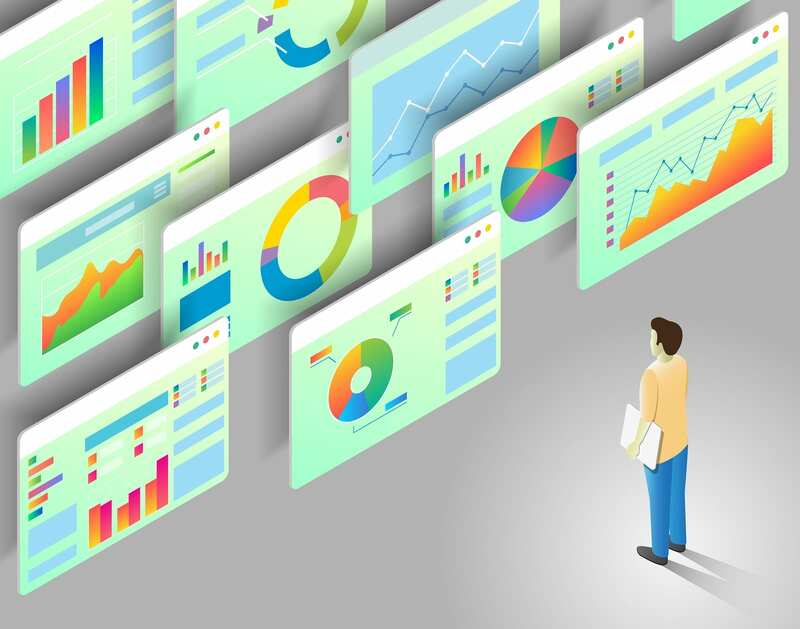 For those advertising online, as you manage your Google Ads accounts this week, remember to pay more attention to metrics besides average position. Determine what other KPIs can help you make bidding and strategy decisions in the future when you lose access to average position. And last but not least, keep an eye out for the growing popularity of DuckDuckGo. SEOs don’t pay much attention to the search engine currently, but that could all change if the site continues to acquire users and increase its search volume. SEO is not an easy task. Requiring a deep understanding and practical application of techniques to see considerable results, organizations often have a dedicated team focusing solely on SEO. It’s not easy to rank in the #1 spot on Google. It takes an established content strategy, on and off page optimization, and continual analysis and adjustments. Fortunately, there are some easy SEO basics that can have a significant impact on your site. These tips don’t take months or even weeks to implement but often only a few days. Here are a few small changes you can make to improve your SEO. 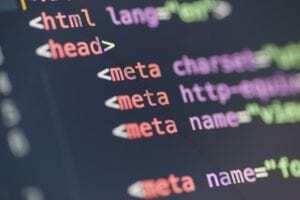 One of the easiest things you can do to improve your SEO is adding meta tags to your web pages, especially titles and descriptions. Meta titles and descriptions are snippets of text that describe the content provided on a particular web page. These meta tags don’t show up on the page itself, they only show up on the page’s code. 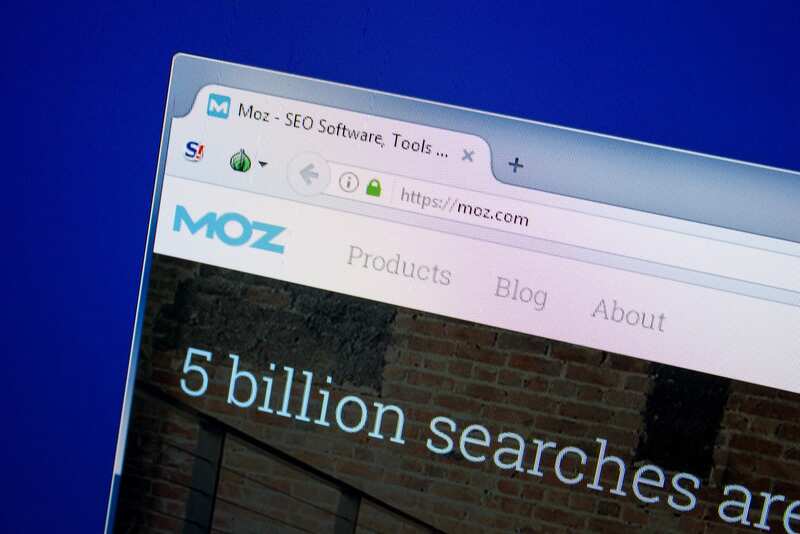 One of the most significant meta tags for improving your SEO is the title tag, which Moz notes is the second most important on-page SEO factor, only behind content. The title tag should be concise, informative, and accurate. This is the first impression of your site, so you want to make sure your title is compelling and stands out. For a great title tag, keep the length under 55 characters. A longer title tag increases the chance of your title being cut off, especially on mobile devices. If it feels natural, it’s a good idea to add in a keyword to your title. This won’t improve your rankings, but it can signify to users that the content is relevant to their query. So, adding or optimizing your meta titles are fairly easy ways to improve your SEO. If you are looking for a way to boost your rankings without putting in large amounts of time and effort, take a look at your meta titles. Check the lengths, check for keywords, make sure each page has a unique title, and most importantly, make sure the writing is informative, accurate, and compelling to users. One of the simplest changes that will improve your SEO is ensuring that your header tags are being used correctly. Your headings and subheadings help break up your content, making it easier for users to understand and read. Header tags also help Google understand the structure of the page. The most important header tag is the H1 tag. This header will be the title of the page, and should only be used once. It introduces the reader to the page and what the content is about. Very similar to meta titles, try to make the H1 tag unique and informative. If you can include a keyword naturally into the language, even better. You can use other header tags more than once, but they should follow numerical order. For instance, you shouldn’t have an H1 followed by an H3. However, you can go back and use a header again. Below is an example of proper header structure. If you notice that your headers are not following the correct structure, it usually only takes a few days for you to go in and fix it, depending on how many pages your site has. Having correct header hierarchy is a basic SEO technique that will help Google understand your content better. Also, with some HTML coding, you can change the font size, color, and style of your headings, making it easier to read on mobile devices. You will want to keep the same format throughout your site though, to ensure consistent branding. Setting up Google My Business (GMB) is another easy way to improve your SEO. 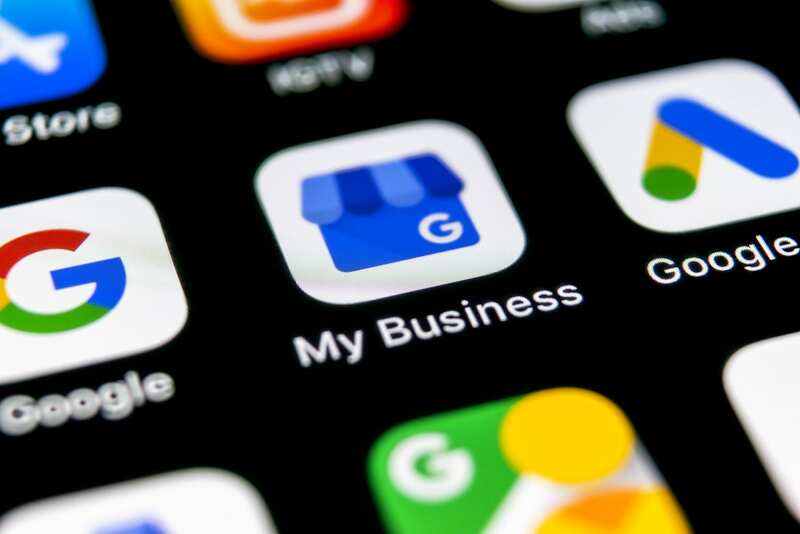 Optimizing your Google My Business increases your chances of showing up in Google’s Local Pack, Local Finder, and Google Maps. Google’s Local Pack is displayed above the organic results and makes it easy for users to see businesses nearby that match their search query. Getting placed in the Local Pack will give your site more visibility, which can lead to more conversions. It is free to set up a profile, and you can add information like your business address, phone number, business hours, and more. To fully optimize your GMB listing, consider adding more than just basic information. For example, with the GMB posts feature, you can share daily specials or updates on your GMB profile. Or, you can post the latest blog from your site. The post feature is a great way to stand out to customers and help them learn a little bit more about your business. Google My Business also gives customers a chance to read and post reviews about your business. 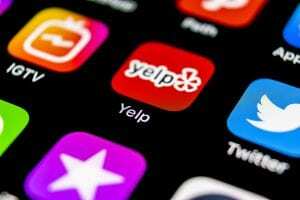 Online reviews are becoming increasingly more important. Reviews and ratings can help search engines determine value, relevancy, and authority. Encourage your users to leave reviews on your Google My Business profile, and make sure you are responding to any reviews left. This SEO tip doesn’t take much time or expertise but can have a big impact on your site visibility. If you have researched SEO basics at all, you have probably heard how important links are. Crawlers follow links on websites to index pages, and links can send signals to Google about a web page’s authority and expertise. Backlinking is the most valuable form of linking, but it takes a lot of knowledge, time, and effort to attain valuable backlinks. Internal and external linking, on the other hand, is fairly straightforward and can help improve your SEO. Internal linking is linking to another page on your own site. Internal linking can lead users to other pages on your site they might be interested in and helps them navigate your site. You want to lead the user from page to page, ultimately ending in a conversion. Make sure you are using quality links. You want to link to appropriate pages that will continue to provide the user value and guide them down the buyer’s funnel. External linking is linking from your site to other independent sites. When using external linking, you will want to link to high authority websites. Think Google, Apple, and The New York Times. Sites that get a lot of traffic, have high-quality content, and are considered leaders in their industries. When you link to these types of high authority sites, it passes along credibility to your site. It is important to diversify your links- if you only ever link to Forbes it will start to look spammy. Additionally, just like internal links, make sure you are linking to pages that are relevant to the page from which you are linking. External and internal linking are great SEO techniques to improve the crawlability and credibility of your site. Another small change that can improve your SEO is image optimization. Google works by “crawling” websites. Crawlers use links of text to move from one page to another, gathering information on the content of the page. However, Google’s crawlers cannot read images. In order to allow Google to “read” your images, you have to manually add things like titles and alt text. This will help further inform Google to the purpose of the page. Plus, users with visual impairments can get a better understanding of the page as well. First things first, make sure your images have an appropriate file title. This will help Google and users better understand the purpose of the image, as opposed to just naming it IMG000364. Then, using alt text, you can further describe the image to Google and users, giving them more context. Try to keep it short, but informative, describing exactly what the image is portraying. Helping Google understand and read your images through supplemental text is only the first step. In order to fully optimize your site for images, you also need to make sure your images aren’t hurting your site speed. Site speed is a major ranking factor for Google, so make sure your images are optimized for speed. First, choose the best file type that will balance the best compression with the least reduction in quality. JPEGs are usually the best format for photographs, whereas PNG’s are best for illustrations, or simpler images. You will also want to pay attention to the file size of your images and leverage browser caching. With these simple image optimization tips, you should be able to improve the SEO of your site. 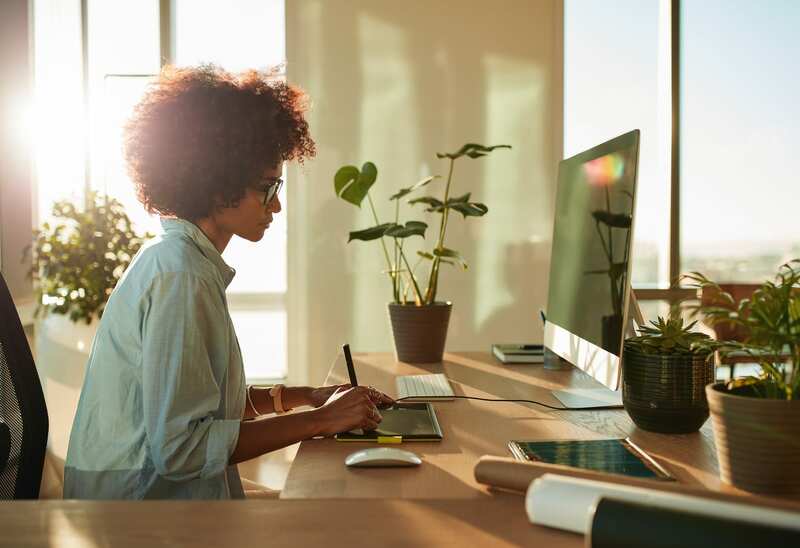 Although SEO is complicated and constantly evolving, these are some quick changes that you can make today to improve your SEO. If you are looking to heavily improve or maintain your rankings, consider partnering with us. We do all of the heavy lifting for your SEO, providing more advanced and technical solutions than you can find in a blog post. Contact us today for more information on our premium SEO services. Each year, companies are allocating more of their overall marketing budget to digital marketing. Whether its PPC, SEO, or content marketing, you can’t argue with the importance of having a great online presence. With all of the intricacies of digital marketing, it’s helpful to have a few marketing tools up your sleeve. 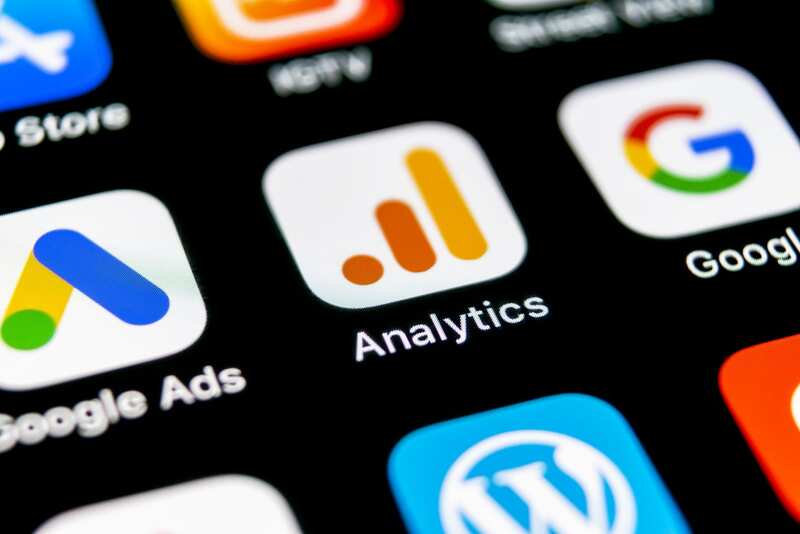 Here are some of the best digital marketing tools that will help you improve your digital marketing strategy in 2019. Google Analytics is one of the most fundamental online marketing tools for successful digital marketing. At its core, Google Analytics is a free tool, however, for a monthly fee you can have access to more advanced features and reporting with Google Analytics 360. For most businesses, Google Analytics will give you all of the features you need, and if you aren’t already using this tool, you are missing out on valuable data. This information can help you determine if your marketing efforts are translating into actionable results or where you can improve. There are standard reports that make it easy to understand how much traffic you are getting, what types of devices people are accessing your site on, and how long users are staying on your site. You can also dive much deeper and gain important knowledge that will give you great insights into your business. Google Search Console is another free marketing tool Google offers that is extremely helpful. Any website can use Google Search Console and gain a deeper understanding of query impressions, click-through-rates (CTR), and the average ranks of your existing pages on Google’s search engine results page. A few other key features that Google Search Console offers is the ability to submit sitemaps and request indexing for web pages. This is a helpful feature because requesting an index alerts Google that you’ve made a recent change to a particular page. You can even discover and monitor indexing errors and identify mobile usability issues. SpyFu is one of the best digital marketing tools for keyword and competitor research, offering helpful features for both SEO and PPC. In SpyFu, you have the ability to see all paid keywords and ranking organic keywords used by competitors now, and for the last 12 years. The Ad History section lets you see how competitors have changed their ads to optimize their copy and keywords, giving you a unique look into what has worked and what hasn’t historically. For SEO purposes, you can compare organic keywords used by various competitors to get ideas for potential keywords for your own site. Also, you can research competitor backlinks to bolster your own backlinking strategy. 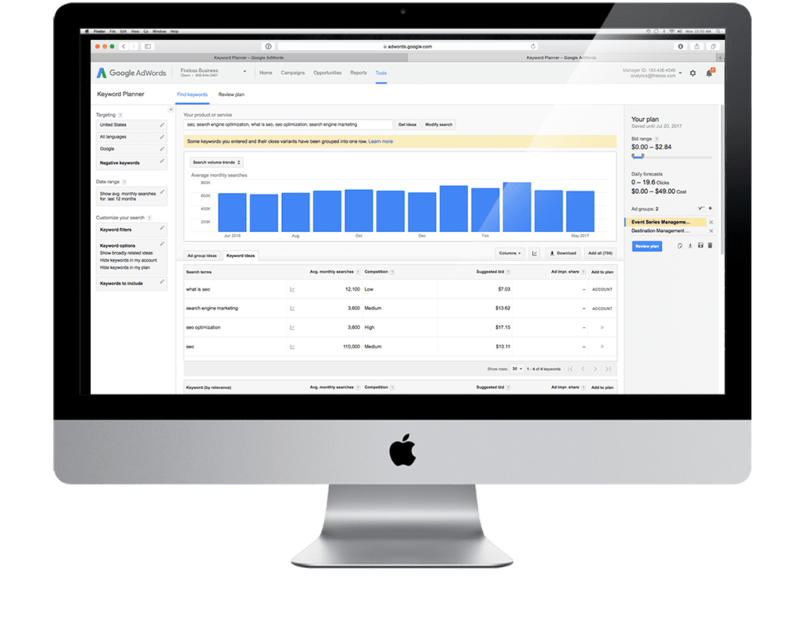 If you are looking for a free tool for keyword research, Google Keyword Planner is a great option. In Keyword Planner you are able to discover keyword suggestions, competition level, and average monthly search volumes for various terms. You can filter search terms by location, timeframe, and by adding negative keywords. You can also use Keyword Planner to track keyword fluctuations and trends, like seasonality and popularity. Whether for PPC or SEO, Google Keyword Planner is an invaluable tool. 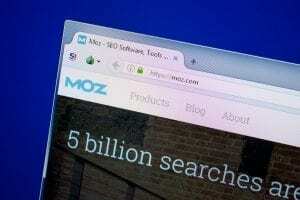 Another great marketing tool is Moz Pro. With Moz Pro, you can track and analyze your rankings and link profile and use their keyword explorer to discover new keywords to target. It’s also a great tool for tracking topics and content that are prohibited by Google tools, like the healthcare and firearms industries. One of Moz’s extremely useful features is their On-Page Grader. This feature allows you to enter a URL and keyword, which Moz Pro will then grade for on-page optimization. It will notify you of any issues that are hurting your score, as well as the aspects of the page that are helping it. This can help you further improve your optimization efforts on your site. The Screaming Frog SEO Spider Tool crawls your websites’ URLs and provides you with information on technical and onsite SEO. One of the best features of Screaming Frog is that it can help you find broken links (like 404 errors) on your site, which hurt your organic ranking. Using the tool, you can export all of your broken links and redirect them on your site. On top of other great features, it also analyzes your meta information, letting you know if you have titles and descriptions that are too long, too short, missing, or duplicated. This online marketing tool is great to look at the overall SEO performance of your site. If your website is built on WordPress, the Yoast SEO plugin is a great online marketing tool you should be utilizing. It provides many features that will help improve your SEO and content overall. One of the best uses of Yoast SEO is to edit meta titles and descriptions in bulk. If you have multiple meta tags that need to be written or optimized, this is by far the easiest and fastest way to do it. The Yoast SEO plugin will also audit your pages and posts for readability and SEO issues. It notifies you if you aren’t using headers appropriately, if your content is too difficult to read, and if your keyword density is optimal. If you focus on content writing and creation, you need to add Grammarly to your arsenal of digital marketing tools. Grammarly will help you identify spelling and grammar errors to make your content clear, concise, and correct. You can use Grammarly for free, or pay for more advanced features. 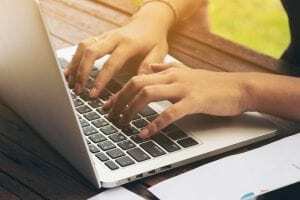 You can install a free extension into the Google Chrome browser as well, allowing Grammarly to check your writing anywhere across the web. It will underline any issues in red and provide corrections, making it easy to ensure your writing and grammar are correct. Moat Pro is one of the best digital marketing tools for PPC and online ads. With this tool, you can view creative ads from various brands, including a three-year history. You can then filter the data and discover industry trends and relationships. You can use their mock tool to generate mock ads on various publisher’s sites. This will help you look at your ad from a user’s perspective and figure out the best layout and design. On top of all that, they have a mobile app so you can research and plan ads on-the-go. It’s great when you need a little inspiration for ad layouts, copy, or calls-to-action. Canva is another free marketing tool that is great for designing online ads. You can size, edit, and layer images and text. Canva also comes with various image sizes pre-measured for different platforms. For example, if you need to create a Facebook Ad, you can find an image pre-measured with the correct dimensions for the platform. You can even use custom color and text options to keep all of your ads on-brand. If you need to work on your ads on-the-go, don’t worry- there is a mobile app that makes it easy to create designs from anywhere. Authoritas is an online marketing tool for SEO and keyword planning. You can track keyword rankings globally and locally, as well as keyword traffic and rankings specifically for mobile devices. This tool gives you as close to real-time data as possible. Unlike Search Console where you see a point-in-time position average (earliest you can see is a week prior), Authoritas gathers keyword performance within the past two days. Another great feature is the Keyword Potential report. In Authoritas, the Keyword Potential report will look at keywords you are already using and suggest similar keywords that will give the biggest increase in traffic and improve your rank. Another Google tool that doesn’t need too much of an explanation is Google Ads. With Google Ads, you can place paid search ads on Google Search and Google Maps. With Google currently holding the highest market share, having ads on the Google Search Network can lead to a huge increase in traffic. With this tool, you can set your own budget and create refined and targeted audiences. Also, you can download Google Ads Editor to your desktop, which allows you to edit ads in bulk before pushing them live. It even works without an internet connection, enabling you to upload your ads once you are back online. So, if you are looking to step up your digital marketing game in 2019, consider using these tools to help. These digital marketing tools will not make you a digital marketing expert, but they can help you better understand your marketing and improve it going forward. If you don’t have the time or budget to put these tools to the test, or if you are wanting to dramatically improve your digital marketing beyond what these tools can offer, we have you covered. Here at Firetoss, we are a full-service digital marketing agency that specializes in web design, PPC, SEO, and more. Contact us today to learn how we can help. 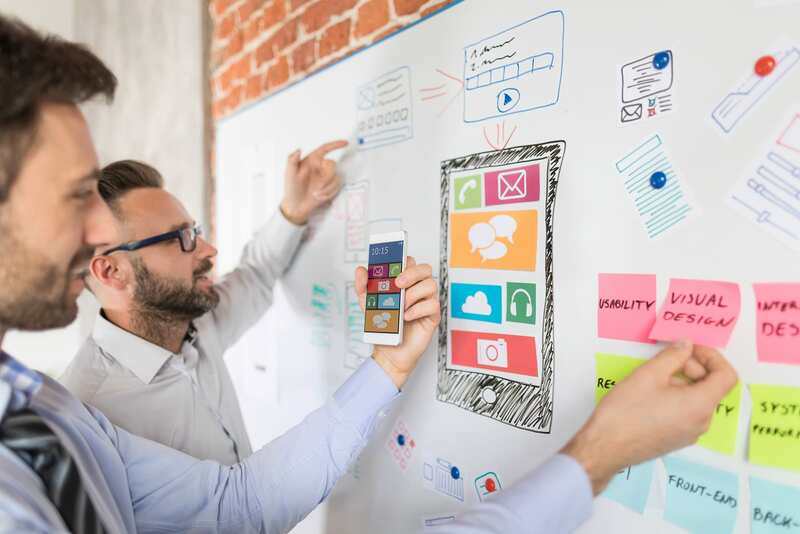 As technology becomes increasingly complex, many businesses are turning to UX design to help create rich, interactive experiences for their customers. So, what is UX design? UX, or user experience, describes how users interact with a product, either physical or digital. It encompasses the overall feeling a user is left with after using a product, whether positive or negative. UX design is important to businesses because accessibility and ease of use are becoming more and more important to consumers. Most consumers access multiple websites, apps, and platforms throughout the day and often on different devices. Because of this, consumers are putting more importance on having a positive experience with a product and brand. Consumers will quickly turn somewhere else if a design isn’t visually appealing, isn’t easy to use, and doesn’t seamlessly meet their needs. They expect a product to grab their attention and provide value in just a few seconds. Without a well-thought-out UX design, you may be losing customers. Often, the term user interface (UI) is used interchangeably with UX. However, UI is only one part of the overall user experience. UI is the interaction between the user and the interface, whereas UX is the emotional outcome of the experience. UI is important to UX design and focuses mainly on the usability of the interface. Is it easy to use? Are the elements of the design recognized by the user? Is the information organized and laid out clearly? Any touch point between the user and the interface falls under UI. 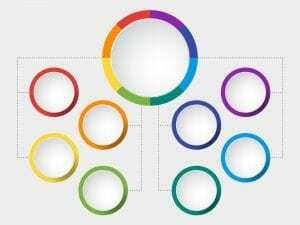 Although it doesn’t entirely comprise a great user experience, a major part of UX design is visual or graphic design. The physical design ensures that the look of the product is pleasing to users. For a website or app, this includes the number of images, the amount of content, and the way information is divided up. The visual design is especially important for the user experience on mobile devices. More and more people are using their mobile phones as opposed to desktops, so the visual design must cater to smaller screen sizes. This does not mean simply shrinking the whole design but instead making the design feel like it was made to be viewed on a mobile device. Another important visual element is establishing clear and consistent branding across the product. This includes using the same color scheme, fonts, voice, and overall theme. 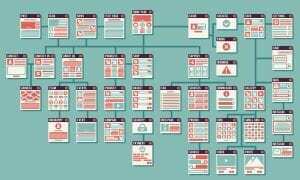 You might not realize that content strategy is a part of UX design, but the amount, type, and format of content can greatly impact the design of a product. Great UX design should be centered around the content, not the other way around. For instance, a website that needs a large amount of written content will have a completely different layout, feel, and click path than a website that requires more images and videos. Don’t forget that your content strategy and UX design go hand in hand. UX design is not a one-size-fits-all approach. It depends on the business, the user, and the goals of the design. However, there are pillars in the design process that help lead to a better user experience. The first step of the UX design process is user research. To make design decisions based on user needs and wants, you must first understand what those needs and wants are. User research for UX design is different than general market research because it is more specific to the product or interface and how users interact with it. User research will give you insights into what your customers are looking for and help you make critical design decisions. Get input from real users to conduct user research. We often believe that our design and interface preferences are the same as others. However, that’s a dangerous assumption. To design a website that will truly attract and keep users, your user research must be thorough and accurate. Once a UX designer has completed initial research, they will start designing the actual product. There are many different phases of this step, and everyone’s process will look slightly different. 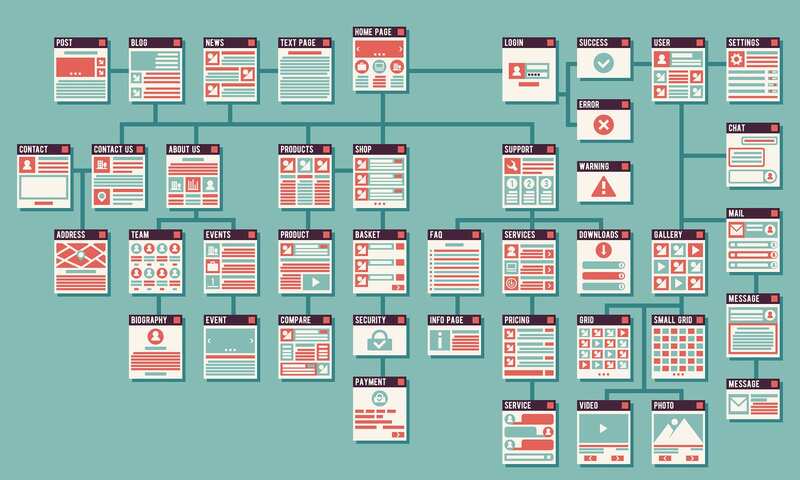 Many times, UX designers will begin with defining the information architecture (IA). The IA is the arrangement of information in a way that makes sense and is easy for users to navigate. It helps users understand where they are and where they need to go to find other relevant content. During the design stage, UX designers will create wireframes and prototypes for the website, app, or other product. A wireframe is a representative design of each step a user might take while interacting with a product. Typically, wireframes are simple designs that are created quickly. A prototype, on the other hand, is similar to a wireframe, but more detailed and used for testing. Prototypes are not the final product but should imitate the look, feel, and usability of the final product. Prototypes are often used for testing and determining validation for the final design. Usability testing is when UX designers gather feedback to determine if the design is intuitive, easy to use, and offers an overall positive experience for users. Most often prototypes are used for this testing and designers observe users as they interact with the website, app, or product. Based on observations, changes can be made before the design is finalized. Once the design is finalized, the website, app, or product is built. However, the UX design process is not over. UX design is an ongoing process that will evolve and change over time. As new products enter the market or trends change, UX designers will continue to make adjustments to the design. These are often small changes rolled out through updates, although sometimes a brand will decide to do a complete rebuild and redesign. Just remember that UX design is continually shifting and changing. So, Why is UX Design Important? Overall, UX design is a growing field that can have a major impact on your business. 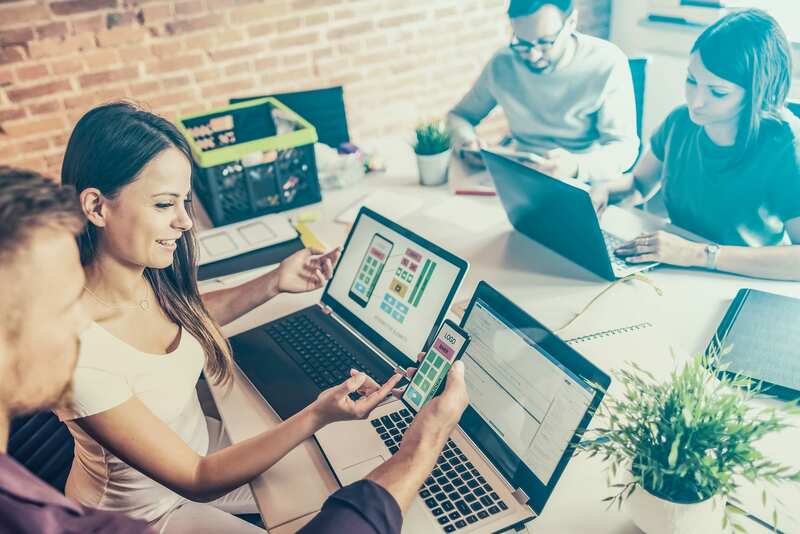 You want your customers to have a positive user experience while interacting with your website or product and focusing on UX helps accomplish that. Here at Firetoss, we are committed to helping you provide the greatest user experience for your customers. 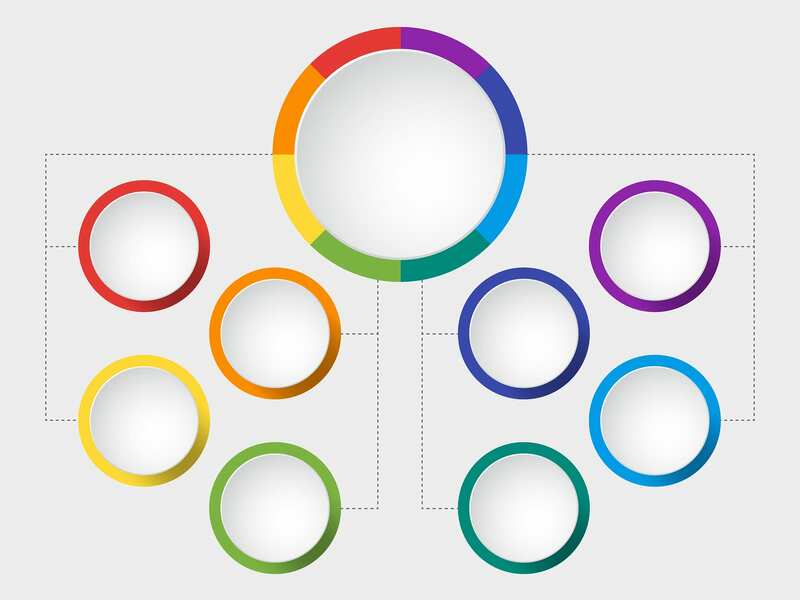 We look at UX design through multiple disciplines, such as SEO, PPC, and web development. Contact us today if you want to improve your UX design. If you are starting a new business or looking into new marketing channels, you may have heard the term “PPC advertising” floating around. PPC advertising is a form of advertising that is a foundational aspect of digital marketing because of the reach, flexibility, and short timeframe in which you can receive results. So what exactly is pay-per-click advertising? PPC, or “pay-per-click” advertising, is a form of digital advertising that allows you to target specific users online and pay for actions taken by these users. The pay-per-click model can be found on multiple channels such as social sites like Facebook or LinkedIn, search engines like Google or Bing, display networks, and more. 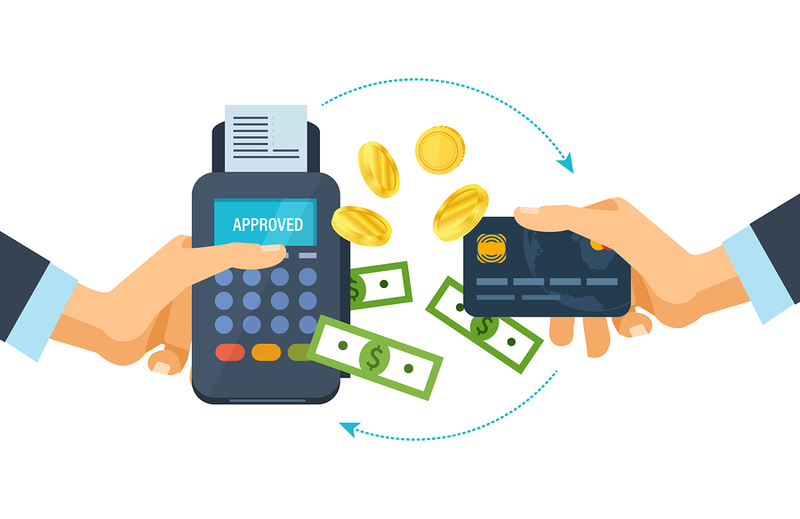 You can choose to use other types of paid advertising models as well, such as CPM (cost per mil), paying for impressions or views instead of clicks. 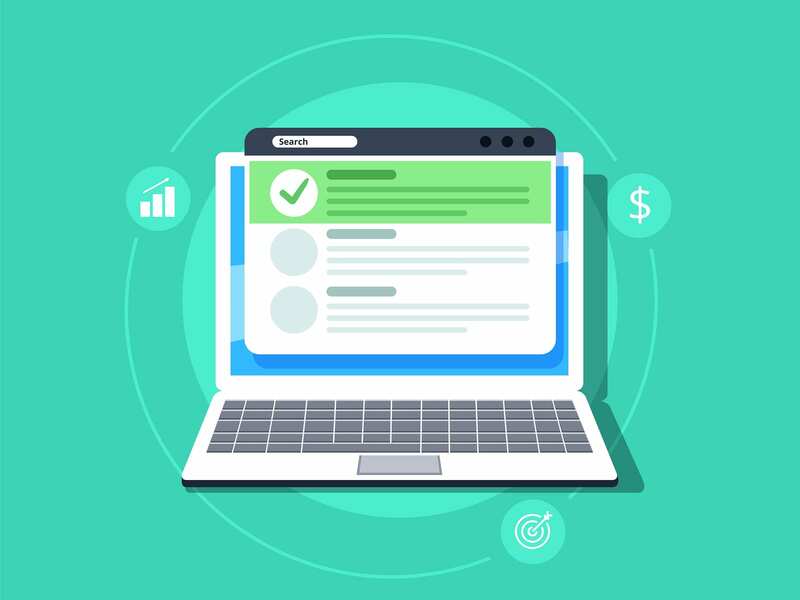 PPC advertising is a pillar of digital marketing and can be associated with a large ROI when managed effectively, as well as increased brand awareness and site traffic. Why Should I Use Pay-Per-Click Advertising? One of the greatest aspects of pay-per-click advertising is that you can easily track and measure results. Most PPC platforms allow you to easily view your clicks, impressions, click-through-rate, and conversions for your campaigns. 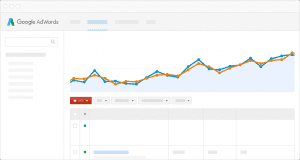 You can also use Google Analytics to measure combined metrics from pay-per-click campaigns across different platforms. This gives you insights into what campaigns are working, where you can improve, and your ROI (return on investment). These metrics may not be as clear when compared to other forms of marketing- especially traditional forms of advertising. Another great thing about PPC advertising is that once you set up and implement a campaign, you can start driving traffic to your site immediately, which allows you to see results very quickly. For instance, optimizing your website is super important (and you should be doing it), however, it may take months after changes are made to see any results. Once pay-per-click campaigns are set up, ads can start showing up for users instantly. The faster you can track and measure ads, the faster you are able to optimize them. Continually testing and optimizing ads based on analytics and data will lead to higher returns. You can’t do this with a billboard or magazine ad. With pay-per-click advertising, you don’t have to invest a large sum of money in order to see results. You can start your budget small and choose each bid amount for your campaigns. If you see results from a campaign, you can easily and quickly increase your budget to ramp up the campaign. Not many other marketing channels allow you to do this. Out of all the marketing channels available to you, PPC advertising arguably allows you the most control over who you are targeting and when. Based on the type of campaign you are running, you can segment audiences by demographics, locations, interests, and more. You can also set ads to display only during certain days, months, or hours, allowing you to base your ad schedule on when your customers are most likely to be online. Also, pay-per-click with paid search puts your ad in front of customers when they are actually searching for your product or service, drawing in customers when they are further down the buyer’s funnel. You can even retarget customers with PPC advertising. PPC advertising may look slightly different depending on which platform you are using, but most platforms are based on a bidding system. For paid search, you would be bidding on specific keywords. For other platforms, you may be bidding on audiences, locations, or even demographics. 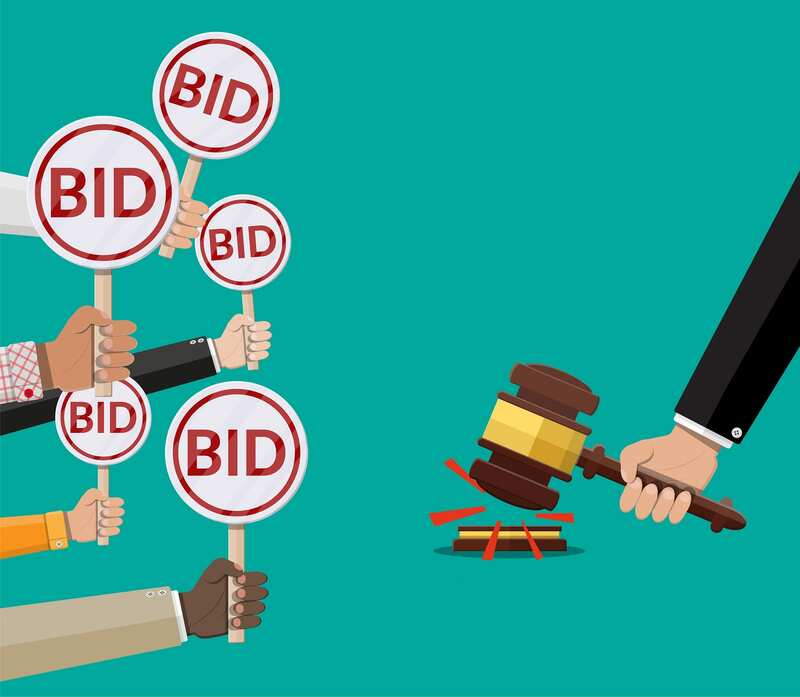 The higher your bid, the better chance of your ad being placed in a higher position. However, most pay-per-click platforms also take into account relevance when calculating ad positions. This means that even if you have the highest bid, you may not receive the best ad placement. Using these factors, along with some others, Google will determine which ads get placed in which positions. Google will also assign you a quality score. This quality score is based on click-through rate, ad relevance, and landing page quality. Your quality score is reported on a 1-10 scale and does impact cost per click and position. Facebook ads (which allows you to advertise on both Facebook and Instagram) does something similar, taking bid amount, relevance, and ad engagement into consideration. Google Ads has the largest share of the market and is therefore extremely popular. For paid search, your ads will appear on the search engine results page for Google searches. Also, you can utilize Google’s Display Network and Google Shopping to serve your ads on different websites across the internet. Google also uses YouTube (which it owns) for PPC advertising. For paid search, Bing ads is fairly similar to Google Ads, just with less traffic. However, because of the lower traffic, Bing Ads can be less expensive than Google Ads. The network serves ads on sites owned and operated by Bing.com, Aol.com, and Yahoo.com. With Facebook Ads, instead of bidding on keywords you will be bidding on certain audience segments. Based on demographics, interests, and profile information, you can place your ads in front of those who would be most interested in your product or service. The difference with Facebook ads (or just social ads in general), is that users are not actively searching for your product like they are on search engines. LinkedIn Ads is another great platform for PPC advertising, especially for B2B companies. Similarly to Facebook Ads, you will be segmenting and targeting by audience segments. For LinkedIn, this can include demographics, industry, and job title. LinkedIn Ads is growing in popularity for pay-per-click ads amongst certain industries. So, pay-per-click advertising is a great investment for your business. You can easily advertise your product or service on a small budget, target specific users, and see quick and accurate results. We highly recommend implementing PPC advertising into your overall marketing strategy. Here at Firetoss, we create, implement, and track multiple pay-per-click campaigns. We will even audit your current marketing campaign and determine where improvements can be made. Contact us today to get started! As February 14th approaches, how can business owners and marketers utilize Valentine’s Day marketing to increase brand awareness and drive sales? Valentine’s Day marketing sometimes gets overlooked because it is so soon after the large holiday season sales of Thanksgiving, Black Friday, Cyber Monday, and Christmas. In 2018, it was estimated that $19.6 billion was spent on Valentine’s Day. So, Valentine’s Day is still a great opportunity to reach customers and increase conversions. One way to do this is with targeted Valentine’s Day ads for your PPC campaigns. Promotional campaigns for holidays are great for keeping ads relevant, helpful, and fresh. Here are some tips for creating Valentine’s Day campaigns that convert this February. When you are creating your audiences for your Valentine’s Day campaigns, utilize the data and information you’ve collected from any previous holiday sales and promotions. With this information, you can strategically place ads in front of consumers who have already interacted with your website and retarget them. These shoppers are already familiar with your brand and have shown interest in your products. This means they are more likely to convert. So, don’t forget to retarget your website traffic with your Valentine’s Day ads. When you are creating your Valentine’s Day ads, don’t forget to segment your audiences. Whether you are using audiences for retargeting or creating audience segments from scratch, it’s important to separate groups based on the ads you will serve them. 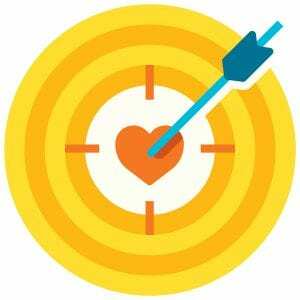 Valentine’s Day has a few distinct audiences you will probably want to be segmenting and targeting, such as couples, however, there are other groups you can be targeting too. According to Bing, a few key demographics you should be targeting are unmarried couples, men, and millennials aged 25-34. Unmarried couples spend, on average, $107 compared to $96 for married couples. Men are bigger spenders than women, spending $133, and millennials aged 25-34 spend more than any other age group on Valentine’s Day. Create Valentine’s Day campaigns that target each of these groups specifically to really maximize your efforts. Once you’ve segmented those audiences, don’t forget about single consumers either! Over half of adult Americans today identify themselves as “single,” but that doesn’t mean they aren’t spending money on Valentine’s Day. People buy Valentine’s Day gifts for friends, family, co-workers, and even pets. One tip for your Valentine’s Day marketing is to push more affordable products for these groups. People don’t spend as much on their friends and family as they would a significant other, so create Valentine’s Day ads for more affordable products and target single consumers. After you have segmented your audiences, make sure you are tailoring your ads. Generic copy and images will have a harder time showcasing why users should choose your brand or product. Instead used customized creative for each audience you have segmented to fully take advantage of the opportunity. Also, changing up your ads for the holiday will help with ad fatigue and signify to Google that your ads are being optimized and updated on a regular basis. This will help your ads show up in higher positions, and your clicks could potentially cost less. Optimize your keyword choice to appeal to Valentine’s Day shoppers. This includes using terms and phrases that are Valentine’s Day related such as “love,” “flowers,” “Valentine’s Day gifts for him,” and more. It’s also a good idea to try and express a sense of urgency through your copy. This will advise users to act fast and purchase your product before it’s too late. For your Valentine’s Day marketing you may want to include promotion extensions in your ads. These show up below the actual ad and are clickable for users. This could be a promotion for a specific item or even a full category of products. With product extensions, you can add holiday or seasonal labels to the ad. You can include this label with your Valentine’s Day ads and it helps theme the ad. Valentine’s Day shoppers often don’t start shopping until the beginning of February, with 30% even waiting until the day of February 14th to buy. The peak days for shopping for Valentine’s Day are February 12th and 13th, so, consider the timing of your Valentine’s Day ads to catch these last-minute shoppers. You’ll want to start your Valentine’s Day campaign in early February and continue to ramp up ad frequency throughout the following two weeks. Keep an eye on your budget to allow ads to run all the way up to Valentine’s Day so you don’t lose any opportunity for last-minute buys. Also, if you have a brick and mortar location, you can use geo-targeted Valentine’s Day ads to target shoppers. Many last-minute Valentine’s Day shoppers will make their final purchases in-store after doing research and comparing prices online. 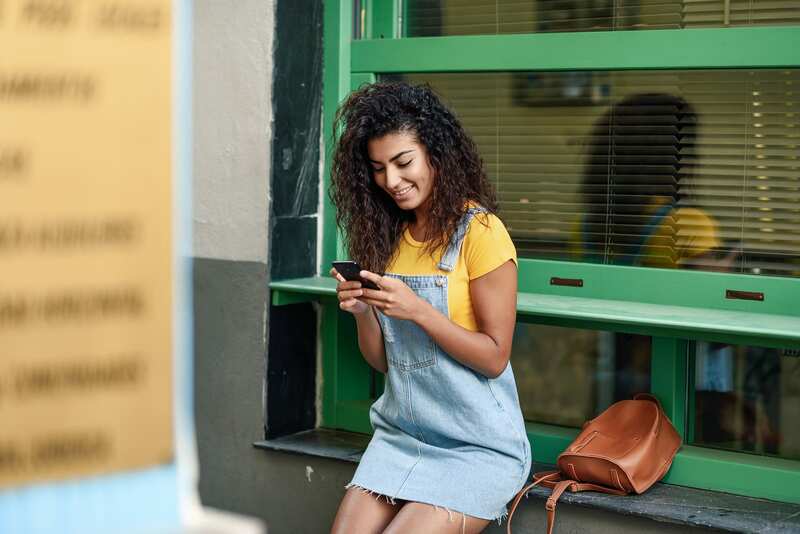 Using location targeting, you can advertise to consumers when they are near your store, making it available for them to stop by and make a purchase. Every year more and more shoppers rely on their smartphones and tablets to compare prices and make purchasing decisions. Over half of shoppers plan to use their mobile device to assist with their shopping, with another 44.7% planning to use tablets. With very few consumers using desktops, your website has to be ready for mobile usage. This includes making sure the font size of the text is large enough, the design won’t cut off any content or images, and links are easily clickable. Also, make it easy for users to find your phone number and address in case they want to call or stop in for their purchase. If you have any overstocked inventory from the holiday season, Valentine’s Day is a great way to promote those products and free your shelves of expensive inventory. One great way to do this is to create gift sets for your Valentine’s Day ads. Pair two or more overstocked goods together in a set and create a unique, exclusive gift set. Users will love the value they are receiving from buying the products in a set rather than just purchasing each one separately. On top of that, it will help you move older inventory off of your shelves to make room for new products. It’s a win-win! These tips can be used to optimize your PPC campaigns for Valentine’s Day and reach more consumers. Valentine’s Day ads can help boost your sales, especially after the post-holiday slump. Make sure you are segmenting audiences, creating custom content, and targeting mobile and late shoppers. If you are looking to boost your Pay Per Click (PPC) advertising all year round, we offer PPC and SEM services. Contact us today to get started! Magento 2 is a popular e-commerce platform available for business owners and claims to have over 250,000 merchants. The platform is fully integrated for analytics, advertising, content creation, and commerce, and it offers unprecedented scalability and flexibility. 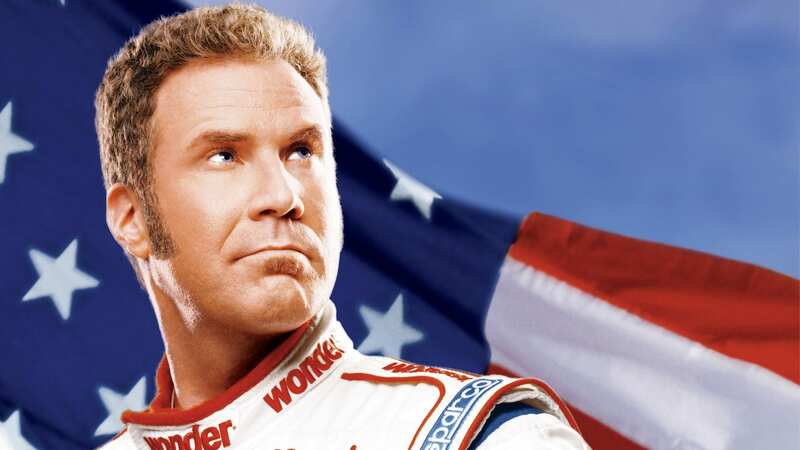 Companies like Ford and Nike use Magento. Out of the box, Magento 2 is known for being fairly SEO-friendly, however, there are a few quick tweaks you can make to improve your Magento 2 SEO even more. Let’s get started! Magento 2 offers great features to improve the user experience of your website, however, some of these features can lead to duplicate content. If you are using layered navigation, simple and configurable products, or pagination features, you will have duplicate content with unique URLs on your site. Duplicate content can harm your Magento 2 SEO efforts, especially after the Google Panda update. To help ensure that your duplicate content isn’t hurting your rankings, use canonical tags. Implementing canonical tags will let Google know that duplicate pages are related to the main page you want Google to index. It will tell search engines which page you want to appear on the search engine results page (SERP) and relates value from duplicate pages back to the master page. Keep in mind that if your pages are too different, Google may ignore the tag, but for small differences in product or category pages, canonical tags are definitely recommended. Also, for Magento 2 site optimization, don’t forget to add a canonical tag to your homepage. Out of the box, Magento 2 automatically picks default titles and descriptions for your store. To improve your Magento 2 SEO, you will want to go in and update these titles and descriptions instead of using the default ones. Titles and meta descriptions don’t show up on your actual site but will show up on results pages. They should help inform searchers of the content and purpose of the page, leading them to click on your site if they believe it is relevant to their search. You will want to optimize your titles and descriptions with keywords and unique information. Keywords won’t directly affect your rankings, but they can help users identify if your site and content are what they are looking for. Don’t overuse keywords, however. The titles and descriptions need to feel natural, informative, and relevant. Keep your titles under 50-60 characters and descriptions under 120-150 characters. If they are too long, search engines will cut off the content, especially on mobile. Since mobile screens are smaller, content must be adjusted to fit on their screens too. Image optimization is a major aspect of Magento 2 SEO (and just SEO in general). Title and alt tags help inform Google of the purpose and topic of the page because Google can’t read images. In Magento 2, image titles and alt tags are automatically renamed to the product title when uploaded. It is a good idea to go in and rewrite titles and alt attributes to be more specific. Writing your own titles and alt tags will allow you to add in some keywords and relevant descriptions to help Google better recognize the images’ purpose and rank it in Google Images. Also, users with vision impairments using screen readers use the title and alt tags to understand more about the page since they can’t see the images. Use descriptive and relevant titles and alt tags to help explain the page and product. And, don’t forget to rename your image files too. You don’t want your image file name to be IMG2543. Instead, change the file name to describe the image. Sitemaps are an important way to show users and Google the navigation of your site. With Magento 2, they have greatly improved their XML sitemap generation, which is great for Magento SEO. Specifically, the XML sitemap generator in Magento 2 can directly and automatically send search engines updated sitemaps. You can even customize the priority and frequency for any product, category, or other pages. This is a great addition, so make sure you are adjusting the settings for your preferences and utilizing this feature. When creating URLs for products, Magento 2 will automatically include the category path in the URL. For SEO purposes, URLs should intuitively guide the user. An optimal URL format for SEO purposes would be domain/category/sub-category/product. However, with Magento SEO, including the category path in the URL creates some duplicate content issues. We recommend using top-level URLs and setting the “Use categories path for products URL’s” to “no”. This Magento 2 SEO tip will help prevent duplicate content for products that are placed in multiple categories. For example, if you have a women’s dress on your site that is on sale, it would be placed in both the sale and women’s dresses categories. If you include category paths, you would then have two unique URLs for the same page. Another option is to add canonical tags, but we find it easier to just exclude the category path in product URLs. For your Magento 2 site optimization, we recommend utilizing schema markup. Schema markup is code that is added into the backend of your website. This code will help highlight certain aspects of your site for Google and other search engines. This could be information like your address and phone number, ratings and reviews, category pages, or other information. The schema can then be used by Google to provide this helpful information to users as rich snippets on the results page. Rich snippets can help bring in even more traffic to your site, especially for e-commerce sites because it shows users a more complete look at what it is your store offers. Magento 2 does not provide a rich snippets feature out of the box, however, there are a few ways to add rich snippets to your store on your own, which will help improve your Magento 2 SEO. First, you can use Schema.org tags on your site and create rich snippets for things such as star rating, price, and availability. Another way to add rich snippets is through an extension. There are many options out there that will help you add rich snippets to your site. Our last Magento 2 SEO tip is to install an SEO extension. There are a ton of extensions for the platform that will help you manage and improve your Magento 2 SEO. ReloadSEO is an extension that will score your pages based on SEO, showing which pages you need to focus more effort on. Advanced SEO by Activo will help you add schema markup and is available for Magento 1 and Magento 2. Magento SEO Suite Pro gives you extended features for sitemaps and helps you create user-friendly URLs. There are many other options available, depending on what you are specifically looking for, that will help you with Magento 2 site optimization. Magento 2 is a great platform with many unique and exciting features and capabilities. Applying these SEO techniques will help improve your Magento 2 site optimization, expand your reach, and grow your business. If you are thinking about building a store on Magento 2, we can help you! Firetoss is a Magento Solutions Partner and our team of Magento e-commerce experts can help you create a custom online store from the ground up. Contact us today for more information! Through social media and the power of reviews, the internet has given a larger voice and more influence to consumers. They are able to post their experiences and opinions of any business for the world to see. Depending on the review, this can persuade or dissuade future customers. Nearly 68% of consumers say that online reviews impact their purchasing decisions. So with online reviews able to make or break a sale, it’s extremely important that you pay attention to what your customers are saying about you online while also responding and engaging with them. Not only do reviews influence purchasing decisions, but online reviews and SEO may also influence how you rank on Google’s Search Engine Results Page (SERP). This may be especially true after Google’s most recent broad core algorithm update. Many SEO practitioners believe this update targeted the E-A-T (Expertise, Authoritativeness, and Trustworthiness) of websites, which includes online reviews. 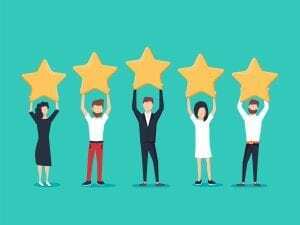 Online reviews are indicators to Google of the quality of your business, and can most likely affect your local rankings and lead to you being placed in the local pack on Google’s SERP. The local pack is a special list at the top of the page accompanied by local map listings. Google’s local pack appears when searchers are looking for something that is specific to their geographical location like restaurants or medical services. According to Google, managing and responding to reviews can help you improve your local rankings. The higher you rank on the SERP, the more opportunity you have to drive traffic to your site. This means you need to be constantly evaluating your reviews, as well as interacting with and engaging your customers. Once you understand the power of reviews, take a look at the feedback you have already received. Know what your customers are saying about your business and then implement a strategy to improve or maintain your reputation. When evaluating your online reviews, a few key things to look for are quantity, freshness, ratings, quality, and diversity. Quantity: The more reviews you have, the better. The number of reviews signifies credibility and reputation to users and Google. To gain more reviews, you can send emails, have a “Review Us” page on your website, or ask personally for them too. Freshness: Not only do you want a large number of reviews, but you also want recent reviews. Users don’t trust older reviews as much because they don’t see them as relevant. Ratings: Potential customers will look at the overall rating of your business. Obviously, you want your rating to be high. 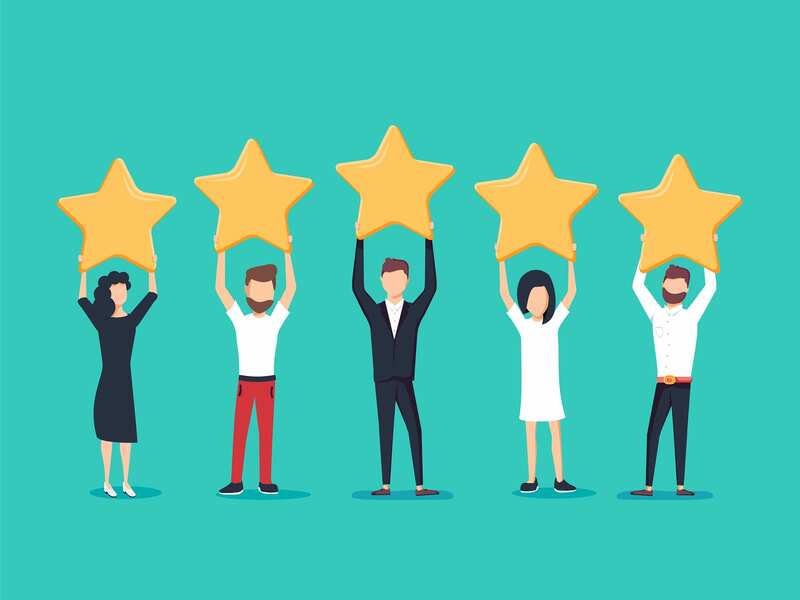 If you are receiving multiple bad reviews that are pulling your ranking down, address the issue immediately by reading the reviews, responding to them, and trying to implement improvements. Quality: When reading reviews, users want details. They want to understand what the business is and what it offers. Diversity: Reviews that are accumulated from multiple sites are better than reviews from just one. Make sure you are engaging with reviews on sites such as Google, Yelp, Foursquare, and industry-specific sites like Trip Advisor. This will encourage other customers to leave reviews on the various sites as well. After evaluating these factors, make a note of where you can improve. Maybe you have a large number of reviews but they are all from Yelp. Devise a strategy of gaining reviews on other sites. Or, maybe you have high-quality reviews that are across multiple sites, but your latest review is 9 months old. Make a goal and a plan to receive new reviews. After looking at these factors, one of the most important aspects of online reviews and SEO is actually responding to them. For your business, it is critical that you are responding to negative reviews (as well as a few positive ones) because negative reviews can influence potential customers and your local ranking. Negative reviews can dissuade customers from using your business, so pay attention to any negative reviews you are receiving and take action. Don’t worry when you get a negative review here and there, no business is perfect! In fact, you can even benefit from negative reviews. Negative reviews increase the overall number of reviews for your business, which is good, along with actually increasing your credibility. What matters the most when you receive a negative review is when and how you respond to it. Reading and replying to online reviews, especially when they are negative, is a great way to build customers’ trust and understand what your customers are looking for. You can gauge feedback and implement improvements for your business, and the way you respond to a bad online review can result in you retaining or losing a customer for good. When you are responding to negative reviews, be aware of how you are responding. You want to maintain your professionalism and make the customer feel heard and understood. You never want to blame the customer or make them angry- responding to a negative review may be the last chance you have to convince them to come back. And retaining a customer costs you less money than acquiring a new one, so you will want to try and repair any relationships possible. Use these tips when responding to online reviews. When responding to a negative review, never make it personal- even if the reviewer has. It’s easy to feel attacked by a negative review, but instead of going on the defensive, try and evaluate the situation and understand the complaints of the customer. When you respond, use professional language and be courteous and kind. Keep your response genuine and helpful, but don’t ramble. Long responses can overwhelm users, so stick to providing them with useful information. Thank your reviewer for the feedback. You can gain insights from any review that can help you improve your business. This will also show future customers that you are willing to listen and make improvements. Show the reviewer that you understand their frustration and then offer a solution. This can be a discount for their next purchase, a free item, a replacement item, or anything else. This goes a long way and could end up saving them as a future customer. One important thing to note when talking about online reviews and SEO is to never pay for reviews or write fake reviews for your site. Google is extremely good at knowing if reviews are real or not, and paying for reviews can get you in big trouble with Google and other review sites. Don’t risk it- get your reviews honestly and fairly! So, the power of reviews has a pretty big influence on your business. They can increase your ranking on local SERPs as well as convince consumers to purchase from you, as opposed to a competitor. Make sure you are evaluating and responding to reviews you are receiving and creating a strategy to gather new reviews from your customers. For other ways to improve your local rankings on Google, contact our SEO team today! As the new year rolls in, many people think of it as a time to press the restart button. The gym becomes the busiest place in town and people are writing out various goals and resolutions for the year ahead. But instead of just focusing on your own personal resolutions, why not look at the new year as a time to improve your business as well? It’s a great time to take a step back, refresh, and refocus. Look back at the past year and determine what worked for your business, and what didn’t. Make some new goals or revive old goals that may have gotten slightly overlooked. To help you out, we compiled a list of some 2019 marketing resolutions that will help you improve your marketing efforts. Our first marketing idea for the new year is to take a close look at your website and focus on user experience (UX). To do this we recommend a manual audit on both your desktop and mobile device. With Google’s recent change to mobile-first indexing, it’s especially pertinent to make sure your website is user-friendly on mobile devices. Here are some things to look at when assessing your UX design. For a great UX design, don’t get carried away by all of the design options out there. Rather, remove any unnecessary elements and keep the design simple and effective. Give your readers the information they want quickly and easily or risk them exiting your site for a competitor. We know it gets tempting to add every button, bar, and switch available, but don’t forget about the actual user. Often websites that overuse elements become cluttered and hard to use. Sliders (also called carousels) are an example of an element that seems simple and clean, however, most users ignore them and they slow down your site, affecting your SEO. With too many elements, readers have a difficult time distinguishing important information and the purpose of the page. Don’t take this to mean that you can’t use any elements, however. Use elements to improve the functionality and make important information more pronounced. For digital marketing in 2019, your website should be clear and intuitively guide the user through different pages. Use familiar elements so users are able to predict how the website will behave. And don’t forget to look at your UX design from a mobile perspective as well! We’ve said it before and we’ll say it again: Site speed is extremely important when it comes to user experience and SEO. Google has stated that site speed is a signal used to assess websites in their ranking algorithm. If you haven’t tested and improved your site speed before, 2019 is the year for this marketing resolution. Various ways to increase the speed of your site include compressing files and images, reducing redirects, removing unused code, and leveraging browser caching. One of the most simple ways to improve the UX of your website (and improve your technical SEO layout) is to improve your header hierarchy. Your headers are a way of telling search engines and users what your content is about. They should follow the structure of H1, H2, H3, etc. 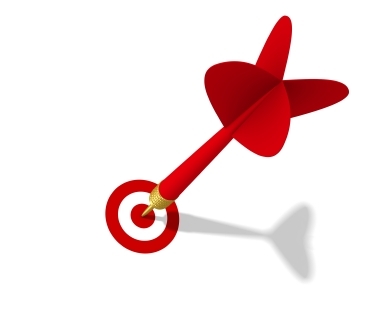 It is also a good idea to try and use your target keyword in your H1 if possible. Your H1 header should only be used once, but the other headers can be used multiple times, as long as they still follow the correct structure. Header hierarchy seems so easy that everyone should be using it correctly, but you would be surprised to find out how many sites have messy headers. Don’t be one of those sites- header hierarchy is a fairly easy marketing resolution! If you aren’t blogging for your business you are missing out on the opportunity to drive even more traffic to your site. And if you are blogging for your business but don’t have a key strategy in place, you’re also not getting the full benefit of blogging. Blogging is a great way to bring in traffic because it gives you more space to offer relevant and important content for users, building brand awareness and leading to conversions. One marketing idea for the new year is to develop and consistently follow a blogging strategy. When people think of blogging and SEO, keywords are probably one of the first things that come to mind. Keyword research has been (and still is) one of the most important aspects of SEO. You can create great content, but keyword research helps you deliver that content to the correct audiences. You want to predict what terms your intended audience would be typing into search engines for your specific blog post to pop up. There are many tools that can help you do keyword research. Google’s Keyword Planner and Moz’s Keyword Explorer are both great resources. Both tools will give you the average search volume for suggested terms as well as competition level. Use your target keyword and a few related terms and phrases throughout your content. This helps Google understand what your content is about and rank it accordingly. When picking your keywords, don’t forget to take into account the purpose of the page. Is the page meant to provide information or lead to a conversion? This will affect the types of keywords you choose. One blog strategy that you can implement in 2019 is the pillar and cluster strategy. This strategy is all about creating one all-encompassing pillar page on a specific topic. You will then create multiple cluster posts that offer more in-depth information on the pillar topic. Then you can link all of the cluster pages with the pillar page and vice versa. This gives your pillar pages more authority, leading to higher rankings. For example, say that you want to create a pillar page on Yoga Workouts. You could then have cluster pages on yoga workouts for weight loss, morning yoga workouts, calming yoga workouts, Bikram yoga workouts, etc. As many cluster topics you can think of the better. Not only is the pillar and cluster blog strategy great for SEO, but it also organizes your site better for users as well as Google. It creates clear pathways that lead to and from related pages, showing in-depth knowledge and expertise on the subject. Crafting a pillar and cluster strategy is a great marketing idea for the new year. Now I know this may not seem like a marketing resolution, but staying organized and on top of everything is actually a major part of successful marketing (and really anything). Digital marketing in 2019 can be so broad that without some kind of system keeping you up-to-date on tasks and assignments, something is sure to slip through the cracks. 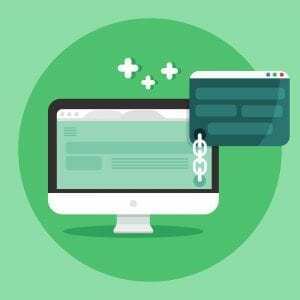 Whether it’s your paid ads, a new campaign you were planning, the optimization of your existing blogs, or updating your meta titles and descriptions, you can’t afford to forget about any of it. Instead of trying to remember all of your to-do’s, task progress, and the employee that was assigned the task, adopt a task management system to help you out. Some great options are Asana, Trello, and Basecamp, but there are other tools too. Just determine what tool is right for your business and begin implementing it into your daily life at work. This way you can see exactly what needs to get done, by who, and by when. The system will also notify you when tasks are completed. Not only will this save you the energy of not having to remember every task off the top of your head, but it also saves you and your employees’ stress. So, take on 2019 with some new marketing resolutions that are sure to increase your digital traffic and bring in more leads. You also might decide that 2019 is the year to partner with a marketing agency for some or all of your marketing efforts. It is expensive and difficult to hire expert-level marketers in your company and you don’t have the time to learn it all either. Contact us today for a consultation to see what the best options are for your business. Many businesses and marketers spend months planning their holiday marketing strategies. However, with all of these promotions and campaigns, it is easy for marketers or business owners to let the small details get lost in the shuffle. The small details can make a big impact. And a lot of the small tasks that should be completed over the holidays (but are often forgotten) are quick and easy. Here is a list of five holiday marketing tips that seem small but are extremely important. One of the first holiday marketing tips that businesses should never forget is to clearly communicate your holiday hours to your clients. If your working hours will change (and they most likely will) let your customers know this. Anywhere a client can find your operating hours, the change should be posted. This can be as easy as adding the hour changes to your company website. You can also make changes to the signatures of company emails reflecting the holiday hours of operation. You want your customers and clients to know when you will be open and working (and when you won’t be) over the holidays. This holiday tip goes hand in hand with disclosing your holiday operating hours. 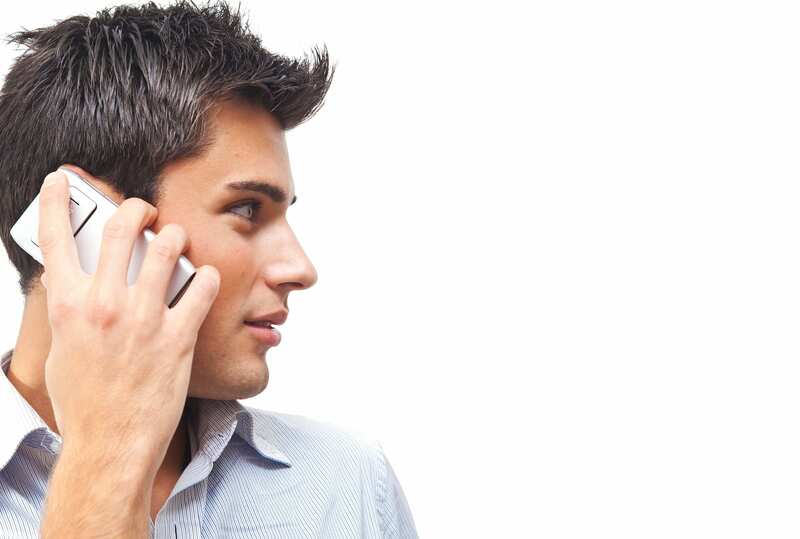 For any emails or phone lines at your office, set up an automatic response or message for clients. This message should announce to clients that you are out of the office and tell them when you will be back. People don’t like feeling ignored, so an automatic response can give them some peace of mind. This will let them know when they can expect to hear back so they aren’t left wondering. It will also keep them from calling or emailing multiple times and getting frustrated that they still have not received any sort of reply. Many brands and businesses use social media to post new content, engage with customers, and advertise products. However, when the office shuts down and everyone goes home for the holidays, often the social media accounts get forgotten and ignored. And we get it, no one wants to spend their holiday break crafting the perfect Instagram caption. But this doesn’t have to be the case! 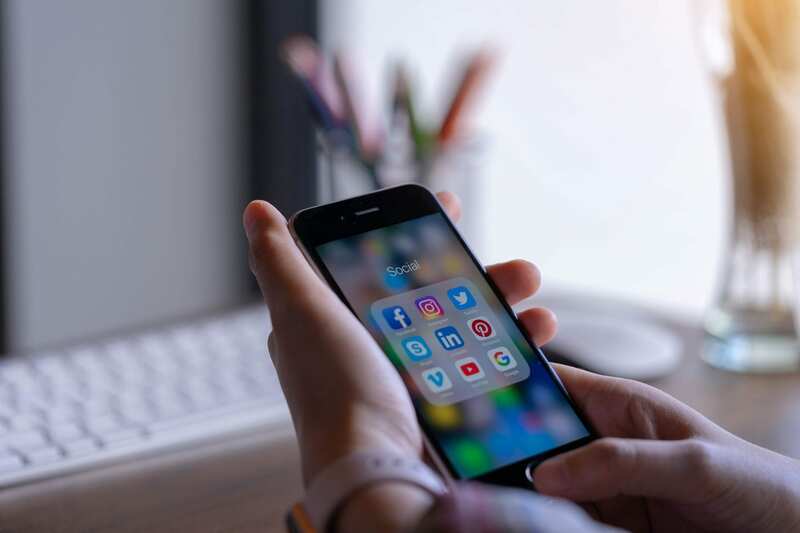 Social media is a key part of successful holiday marketing strategies and with platforms like Hootsuite, you can schedule all of your social media posts in advance, meaning your brand will stay active online without you having to. After the holiday’s end, many companies run into a problem of excess inventory. 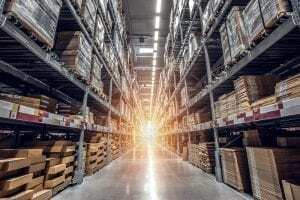 Whether you thought certain items would sell better than they actually did or you experienced a large number of returns after the holidays, you will want to find a way to clear your inventory to create room for new products and save money on storage. One holiday marketing tip is to promote your products in bulk. Offer the products you have too many of in packs. Or you could cross-sell overstocked items with related best-sellers. This makes consumers feel like they are getting a great deal and it gets products off of your shelves. 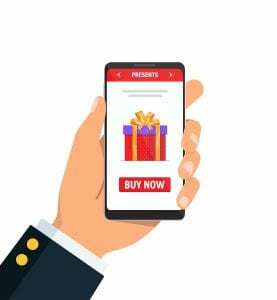 The holidays are a great time to start a retargeting campaign for customers who didn’t quite convert but did show interest in your brand or products. Put together a list of users who visited your website to retarget. Don’t forget to refine your list so that you are only targeting consumers who interacted with your website in a meaningful way. 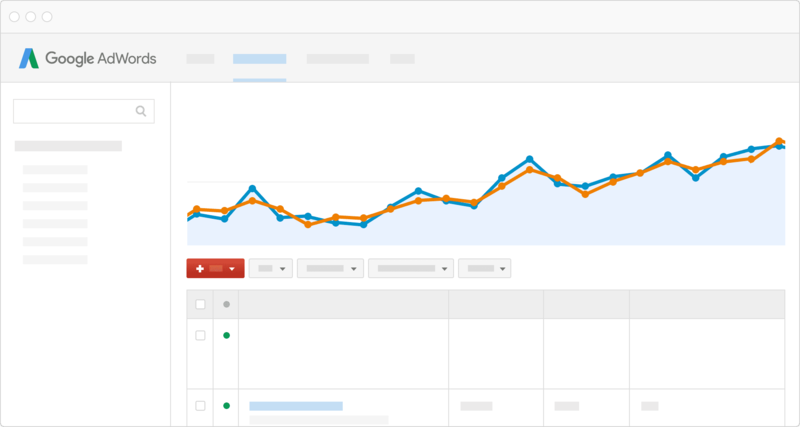 You probably don’t want to be spending ad money on visitors who bounced. Once you have built and refined your audience, you can then retarget these consumers with deals for Boxing Day or New Years. Provide them with a discount code or promotion, prompting them to make a purchase. So, those were a few of our quick and easy holiday marketing tips! Here at Firetoss, we hope you all enjoy a relaxing holiday season and contact us for any digital marketing needs you have going into the new year. Happy Holidays! With an ever-increasing focus on digital marketing, it can be hard to keep up on all the different tools at your disposal. You may have heard of retargeting (also called remarketing), but never quite got around to figuring out exactly what it was. Or you developed a retargeting campaign but didn’t have the time or knowledge to really segment your lists or create customized creative. And without those aspects, you probably didn’t get everything out of the campaign that you could have. In this blog post, we are going to discuss what retargeting is and how you should be utilizing it as a part of your marketing efforts. Google defines retargeting as “a way to connect with people who previously interacted with your website or mobile app. 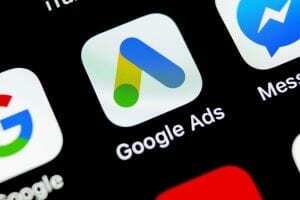 It allows you to strategically position your ads in front of these audiences as they browse Google or its partner websites, thus helping you increase your brand awareness or remind those audiences to make a purchase.” Essentially, retargeting allows you to advertise specifically to anyone who has previously visited your website. Research has shown that the average conversion rate across industries is around 2.35%. This means that nearly 98% of your visitors are leaving before checking out. When potential customers visit your site but leave without converting, retargeting allows you to recapture their interest and bring them back to your site. Because this audience is already familiar with your brand and products, they are more likely to make a purchase and convert than a first-time visitor. To set up a retargeting campaign, first, you can input a retargeting pixel in the backend of your website. This retargeting pixel will save user information by placing a cookie inside the visitor’s browser. This will then allow you to strategically place ads in front of those who have been on your website before. Retargeting campaigns can be set up on many different platforms like Google Analytics, Google Ads, Facebook, LinkedIn, and more. The other way to set up a campaign to retarget customers is by uploading a list of user information that you have gathered. If people have signed up for a newsletter or given their email address, you can use this information for retargeting. Upload the list of emails to the platform of your choice, which will convert them to hashed emails. This means that the email addresses will be converted into a string of numbers and letters to protect your customer’s privacy. Then you can serve those people ads across the web or even send them personalized emails convincing them to come back and make a purchase. After you have either input the tracking pixel onto your website or uploaded contact information, you can start retargeting these users. The most basic retargeting campaign would be to retarget anyone who has visited your site at all. However, segmenting audiences allows you to more precisely target consumers. One of the great things about retargeting is that it allows you to tailor your ads more specifically for individuals. When incorporating a retargeting campaign into your PPC strategy, make sure you are segmenting audiences. If your retargeting campaign is too broad, the value of the targeted ads is essentially lost. So, make sure you narrow your retargeting campaign to get the most ROI by increasing audience engagement and familiarity. Segmenting audiences is a crucial aspect of a successful retargeting campaign. There are many different ways to create audience lists. Here are a few ways to segment users that are extremely effective. You might have a customer that lands on your page and then immediately leaves after only spending seconds on the site. Or you might have a customer that hits your landing page, reads a blog, signs up for a newsletter, and looks through a few product pages. These customers are very different. The same ads are not going to appeal to both customers because they are in very different stages of the buyer’s funnel. Instead of using your retargeting campaign to retarget ANY visitor who visited your site, try identifying and refining a set of behaviors to be retargeted. This may be a certain URL that the customer visited. If a user spent time on a particular product page, they are more likely to purchase that product than someone who read a blog post. So set your retargeting campaign to target visitors that viewed specific URLs of product pages by showing them ads of the products they viewed. This makes the ads much more relevant to the consumer and may recapture their interest in the product, leading them to convert. Between 50% to 80% of shopping carts are abandoned before buyers check out. These buyers are prime for retargeted ads because they are even further down the buyer’s funnel. You can target these people with ads that contain a discount code. Let them know that you saved their cart and now they can get 10% off. Or you can use email retargeting to send them a reminder that they have items in their cart. These reminders will bring the shopper’s interest back to your site and may be just the push they needed to finish their purchase. Instead of segmenting audiences by behavior, you can also segment them by time spent on your site. Visitors who spend 10 minutes on your site are probably closer to converting than visitors who spend 30 seconds on your site. But every site and industry is different. For one site, a visitor spending a few minutes on the site may be great, but for another, that may be way below average. So, how do you know what time you should be setting your retargeting campaign for? Take a look at your Google Analytics account to find the average amount of time visitors spend on your web pages. You can find this metric under Behavior > All Pages. You can use this time to set your initial criteria. If your average time on page is 3 minutes, maybe only retarget people that spend at least this much time on your site. Another easy way to increase your conversions using retargeting is to actually remarket to previous customers. Usually retargeting is only thought of as a way to reach visitors who didn’t actually make a purchase. After all, if someone bought dishes off of your website, you wouldn’t want to send them ads for those dishes. That is just wasting ad money- they aren’t going to purchase those same dishes again. This has led many people to believe that retargeting users who previously bought something a waste of money and resources. However, retargeting customers to cross-sell or up-sell is actually a great way to create loyal, repeat customers. It would look like this: Someone buys dishes off of your website and then starts seeing ads for glassware that matches. By retargeting previous customers, you know that they are already familiar with your brand and products. After you have built your audiences for your retargeting campaign, there are a few things you want to remember before you start retargeting them. Frequency is the average number of times a unique user sees your ad. You don’t want to be the brand that is basically stalking users. This only leads to ad fatigue and a decrease in click-through rate. If a user ends up seeing an ad that they aren’t interested in over and over again, it only makes them angry. So make sure you are utilizing frequency capping in your campaigns. Frequency capping will let you adjust the number of impressions you want to show users. You can usually adjust your frequency settings by the day or week. Your frequency caps will be different for the type of campaign you are running. If you are an e-commerce site that is having a weekend sale, your frequency caps will probably want to be a little higher. So, decide what is the right number of impressions for your business. Again, retargeting allows you to specifically target consumers who have already shown an interest in your products or services. You don’t want to use the same ad for these users as you would use for a first-time visitor. Design your creative to provide new information for those you are retargeting. This could be a discount code like we discussed earlier. Or you could provide new details and functions of the product or service. Make sure you are displaying your USP (unique selling proposition) and helping customers to further understand why they should choose your brand over others. Lastly, make sure that you are designing your ads in the same style and format as your website. The whole point of retargeted ads is that users will be able to associate the ad with your brand because they have seen and interacted with your brand before. If your ad does not resemble your website, users are going to have a harder time making this association. Make sure the colors and fonts you use are the same. Also, make sure you have a clear call-to-action (CTA) on your ad. You want users to see the ad, immediately recognize the brand and product, and understand what the next step is. There should also be a link on the ad that takes the user to a landing page that makes it incredibly easy for them to then make a purchase without having to jump around your website. If you haven’t already been including a retargeting campaign in your digital marketing strategy, now is the time to do so! 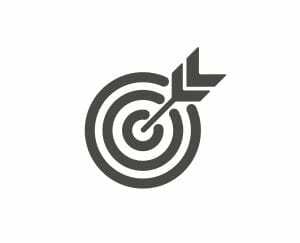 Retargeting is an efficient and cost-effective way to target consumers who showed interest in your product or service but never quite converted. It really is a great way to persuade users to move down the buyer’s funnel to ultimately make a purchase. Use the strategies above to create a killer retargeting campaign, or contact us today and we will do all the hard work for you! This article is a follow up to our previous blog post, “What You Need to Know About the Google Algorithm Update.” That blog post covered when the most recent Google algorithm update was released and two main theories about the purpose of the update, so make sure to read that if you haven’t! Now let’s get into the steps you can take in an attempt to either recover your website rankings after the update or just try and optimize your website using the new update as a guideline. First things first, to potentially increase your website rank after this algorithm update, refresh (or add entirely) the “About” section of your website. 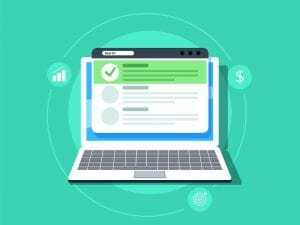 In Google’s Quality Raters’ Guidelines (QRG) it states that in order to be a high-quality website, there should be clear information available telling the user about the site and making them feel comfortable using it and trusting the information provided. There needs to be a section of your website that visitors can go to that explains the intent and purpose of your site and establishes who is responsible for the main content. Take your time and add small details. Clearly tell the visitor what your website is about, when and why it started, and what need it fulfills for them. Add any certifications or accolades the company has achieved. This will show the visitor (and Google) that your website is a trustworthy source. Adding headshots and bios for employees and executives at your company will help users trust your site more. This gives a face to the brand and company, informing visitors who are behind the business. Talk about the education, experience, and role of each member of the company. Google wants to know who is responsible for your site and business. Adding bios to your site is just another way of showing Google your E-A-T (Expertise, Authoritativeness, and Trustworthiness). If you run your own site, make sure you have a bio explaining your credentials and why you have the authority to provide whatever it is that you are providing. Add any awards you have won or distinctions that set you apart as an authority in your industry. If multiple content creators post to your site (or if you have guest bloggers that post occasionally) list their full names and credentials as well. You can show snippets of their bios in blog posts they write and you can also link back to their full bio page if readers want to see even more evidence of the author’s credentials. Google wants users to feel comfortable and confident in the information they are receiving, and providing an author helps to do this. Make sure that you are avoiding anonymous posting to your site and any blog posts. If the post is anonymous, it makes it much harder for users and Google to trust the information that is provided. Clearly state who the author was, why they have the authority to be writing that content, and anything else that will help build their credibility. Another way to increase your E-A-T is to ensure that your content is up-to-date. Google does not want old information and this is especially important if you are in the medical, legal, or financial industries. You don’t want medical advice that is outdated on your site. Make sure you are constantly aware of what is happening in your industry and that your content reflects that. Any evergreen content on your site should be edited to reflect current information. Check all content for up-to-date information and make sure it is provided by an expert in the subject of the content. 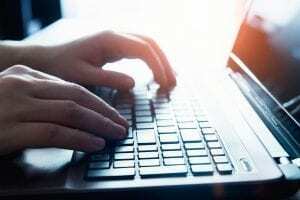 If you are posting a blog that prescribes medical or health advice, this advice should be backed by science and the medical field, and the author should be clearly noted. Also, the author needs to have the correct credentials. Continuing with the medical site example, the author should be an M.D or D.O, otherwise, they will need to have an extremely high reputation in the field. Blogging is a great way to keep up-to-date content on your site. Make sure that if you do blog, you post consistently and frequently. You don’t only want to post once a year when you remember to. Put together a posting schedule and stay on top of it. The more accurate and current information you have on your site, the more relevant your site will be. Lastly, make sure you are featuring any disclaimers on your site. 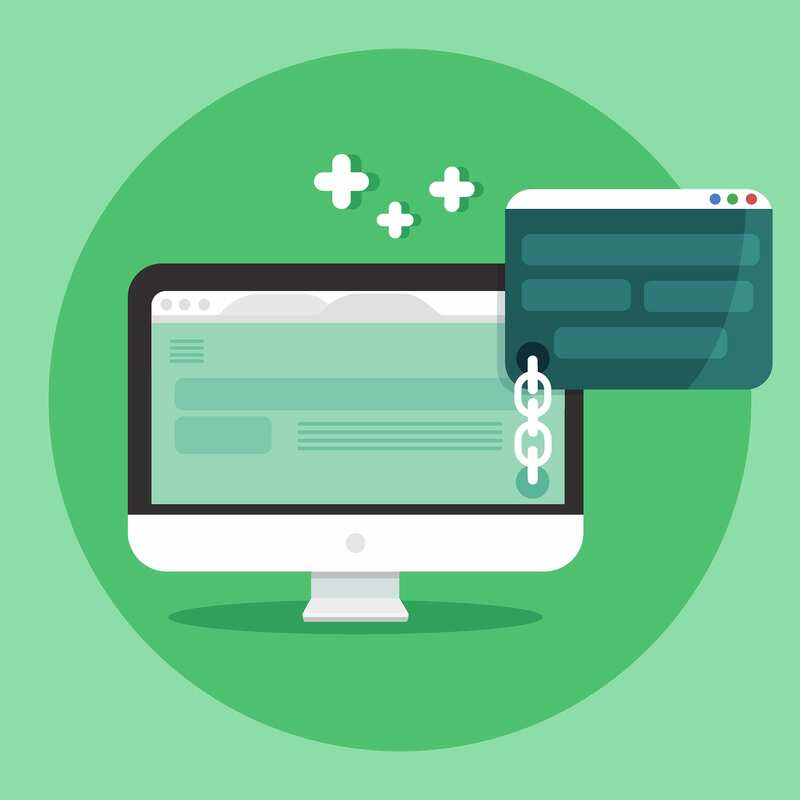 This is especially pertinent for the financial, legal, or medical industries, but really any website should attempt to be completely transparent to their customers. If a page or product is sponsored or an affiliate, let users know! You don’t want Google thinking you are trying to hide things from your customers. Disclaimers will hint to Google that you are a trustworthy source of information because you are being honest and clear with your visitors. Google also notes that reputation is especially important for YMYL sites. They state that for YMYL sites, even a mixed reputation, as opposed to a mildly negative reputation, is a cause for a low rating. This may be a factor in why YMYL sites seemed to be affected by the update to a greater extent than other industries. So, if your site is a YMYL site, you have to take great care in making sure you have a high reputation. Audience engagement and feedback is becoming more and more important too, so find ways to connect with your customers. A few negative reviews most likely won’t hurt your ranking- almost every business has them! Just make sure that you are responding to them and putting forth an effort to resolve conflicts or disputes. This will show current and future customers that your business is genuine and committed to customers. Also, reviews can help you improve your business and lead to more positive reviews in the future. If you do have a large number of negative reviews, you need to address them immediately. Figure out why your customers aren’t happy and fix it quickly in order to maintain your reputation. Other ways to show Google you have a good reputation is by adding a few client reviews or testimonials to your website. You also want to make sure you are encouraging clients to leave reviews across the web- Google reviews are an honest and credible source. You can even integrate Google reviews into your website, adding more E-A-T to your site. Make sure you are not relying on fake reviews though, Google is extremely good at determining what is an honest review and what is not. If Google finds that you have fake reviews for your business it could end up hurting your site. You will also want to build your reputation using other platforms such as LinkedIn, Facebook, and Twitter. On your site, make sure you have a variety of topics and keywords in your content and blogs. The more you know of the different facets of your industry, the more credible and authoritative your site will be to users and Google. Show users that your site should be the go-to resource for anything related to your industry because you have so much knowledge and expertise. This will not only build brand loyalty in your customers, but it will show Google that you are, in fact, an expert. Also, the more variety you have, the more likely you are to have a page that will closely match a user’s intent. Varied content will allow for more niche, tail-end keywords that will hopefully drive customers to your site. When customers use these long-tail keywords in their query they are likely further down the buyer’s funnel and ready to make a conversion. 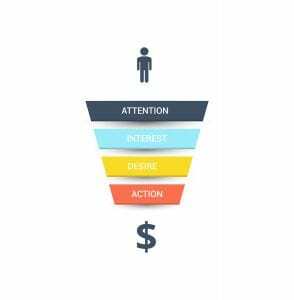 Often, broad keywords that are easier to use in the main content of your site bring in customers who are still at the top end of the buyer’s funnel. Varied content allows you to use both types of keywords though, hopefully pulling in different and more traffic. The other aspect to consider is topical depth. Like stated above, first and foremost you want to match the user’s intent. If the information you are providing is simple and straightforward, let that inform your content choices. Research has shown that Google does tend to favor longer blog posts, however, that doesn’t always have to be the case. Most of your informative blog posts will be longer- in the 1,000+ word count. This is great because it gives you more room to incorporate keywords and links. Links are an extremely important aspect of SEO and longer content does allow you to use more of them. Vary your links by using internal, external, and backlinks; this a great step to increase your website ranking on the SERP. Again, always be thinking about the user’s intent. What information are they looking for and what are you giving? Are you giving too little information that still leaves them confused and questioning? Or are you giving too much information that leaves the user frustrated trying to search your content for the simple answer they were looking for? You want to give the user the exact right amount of information to answer their question and fulfill the need of their query. Looking at the competition can be a great way to gauge how long your own piece should be. Type your target keywords into Google and see what comes up. Then you can look at the word counts and see what is working for the top ranking results. So, although it is unclear what exactly the Google algorithm update was targeting, it seems to be targeting the E-A-T of websites and/or trying to more accurately match user intent with results. No matter what, the guidelines listed above are good SEO practices with or without the algorithm update. It does seem that the factors are more important now than they were before the update, so if you dropped in website ranking after the Google algorithm update or are just looking for ways to make your site even better, follow those guidelines. We offer SEO services here at Firetoss that tackle these issues as well as many others. Click here to sign up for a free SEO consultation with one of our digital marketing strategists! Recently, Google confirmed the release of a broad core algorithm update. 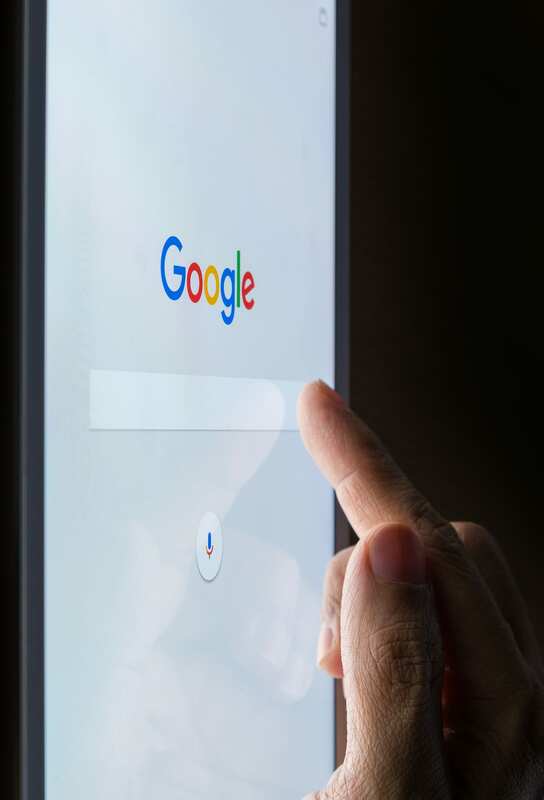 This update was one of the more major changes Google has made to its algorithm as of late, and many different websites saw their website ranking affected (both positively and negatively) virtually overnight. Barry Schwartz of Search Engine Round Table dubbed this Google algorithm update the “Medic Update” because of the correlations found between the change and health/medical websites. However, this does not mean it only affected these types of sites. More broadly, Marie Haynes believed the algorithm update also affected Your Money or Your Life sites (YMYL). Google has not specified what the update was exactly, or which sites it is more likely to impact, but looking at trends before and after the algorithm update we can get a sense of which sites are doing better or worse, and why. Because Google has not specifically announced what the core algorithm update addressed or the ways sites could adapt to increase their website ranking under the algorithm change, there has been a lot of speculation from different webmasters and SEO experts about the update. Most of this speculation falls under two categories: E-A-T and user intent. When Google’s Danny Sullivan was asked how to recover a website’s ranking on the Search Engine Results Page (SERP) if it dropped after the algorithm update was released, he did not give any specific answers but told webmasters to turn to Google’s Quality Raters’ Guidelines (QRG) to create better content and overall sites. 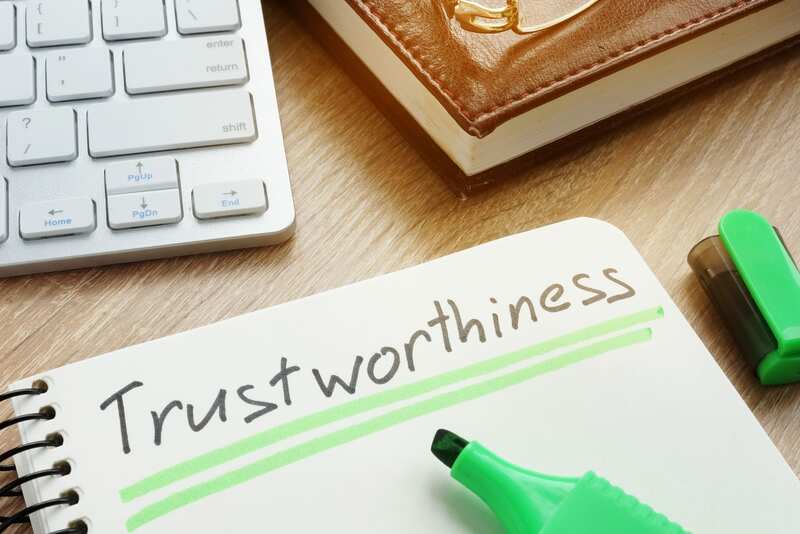 Google’s QRG was revised prior to the Google algorithm update to include a heavier focus on what Google calls E-A-T (Expertise, Authoritativeness, and Trustworthiness). Many SEO practitioners believe that the shift in website rankings for many sites after the algorithm update were and are related to E-A-T principles. They believe that the Google algorithm update has placed a premium on the E-A-T of a website, leaving sites to take a big hit if they don’t have quality content on their sites explaining their credentials and authority in their niche. When discussing E-A-T in the QRG, Google states that “High E-A-T medical advice should be written or produced by people or organizations with appropriate medical expertise or accreditation. High E-A-T medical advice or information should be written or produced in a professional style and should be edited, reviewed, and updated on a regular basis.” This shows how important Google believes E-A-T is, especially in the medical and health fields. So, almost every industry falls under the YMYL category. As a search engine, Google’s main goal is to provide users with the best possible search experience so that they continue to use Google. So, Google has an extremely high interest in providing users with safe, trustworthy information. This is one reason why Google might update their algorithm to place a higher value on the E-A-T of a website, especially for YMYL sites that could affect the happiness or safety of the user. The other main theory behind the algorithm update is that Google is trying to more accurately match the searchers intent. This theory could explain why even some non-YMYL sites were affected by the update as well. In this theory, the Google algorithm update would be aiming to provide the user with the exact answer he or she is looking for based on the query. This would relate to content length and even keyword choice. If a user’s query is broader, Google will presumably pull up results with longer content that will thoroughly describe the subject and provide the user with the information he or she is looking for. However, if a user looks up something much more specific, like, “When is the Superbowl on?” the user most likely isn’t looking for a thousand-word blog post just to tell them that it’s on Sunday, February 3rd. Query intent should inform the type and length of the content provided. The length of different pieces of content is becoming more important based on user needs. Google wants users to find the information they are looking for without being overwhelmed by too much information. This is why many SEOs believe that the Google algorithm update was not primarily focused on E-A-T, but instead on trying to mirror the types of results received with the query intent. Ultimately, we will probably never know the exact intentions behind the Google Medic Update. All we can do is try to understand the trends that followed the change and make choices in an effort to improve our websites and our rankings. To dive into the steps you can take to increase your website rankings following the change, read our blog post on how to recover from Google’s algorithm update.  Also, check out the SEO services we offer here at Firetoss and let us help you grow your digital traffic and increase conversions. The introduction of smartphones greatly impacted the world in which we live. Today, our phones are rarely more than two feet from our sides. We look at our phones first thing in the morning and last thing at night. Smartphones have changed the way we live our lives- and they have changed the way we use Google. So, what does this mean for your business? It means that your marketing and mobile SEO efforts also have to change. Gone are the days of keyword stuffing in an attempt to make it onto Google’s first results page (although keywords are still vital to any SEO strategy). Now, you need to have a user-friendly, mobile optimized site to even think about making it into Google’s top ten. On top of that, Google recently changed the way they index websites to mobile-first indexing. This basically means that Google is crawling your mobile site before they look into your desktop site. If your mobile site isn’t up to par, it will affect your ranking. So, how do you get a mobile optimized website, increase your rank on Google’s search engine results page (SERP), and ultimately generate more engagement and conversions for your business? The best way to do this is with mobile friendly SEO practices. Here are five tips we have compiled here at Firetoss to help you along your mobile SEO journey! A few years ago, Google searches on a mobile device outnumbered searches on a desktop. This metric was a long time coming, as users started wanting information whenever and wherever they were. The problem that many businesses ran into after this shift, was that their site was optimized for a desktop experience, but mobile site optimization is a whole different ball game. One of the easiest and first things you can do to optimize your site with mobile friendly SEO is to increase the text size of your content. Users don’t like having to pinch and zoom to read content on your site. So make it easy on them! Increasing your text size seems like a small, insignificant change, but it makes a big difference. 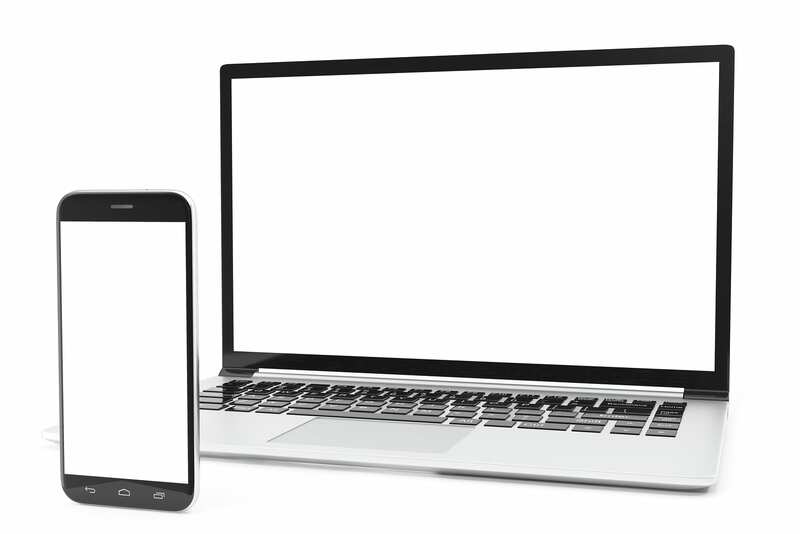 There are three options to optimize your website design for mobile: a responsive design, dynamic serving, and a separate site developed specifically for mobile devices. If set up correctly (and in conjunction with other mobile friendly SEO best practices), any of these options will work and Google should start noticing your efforts and rewarding your site with an increase in rank. However, the most foolproof option and the one recommended most by Google is a responsive design. A responsive design does pretty much what it says it’s going to do – it responds to the conditions under which the website is being viewed. Regardless of whether your website is being viewed on a desktop, tablet, or mobile device, it will automatically fit the dimensions of that device. With this method, you get to keep the same URLs without having to create multiples pages designed just for a mobile experience. Unlike a responsive design, businesses can set up a separate site requiring a different, mobile-friendly URL for viewing on a smartphone. In some ways this is great – it means you can adjust your content to be exactly how you want it on a mobile screen without sacrificing any of your desktop efforts. However, be aware of the amount of work you will have to do in order to optimize for both sites. You will have your mobile site to optimize in addition to your desktop site. Another issue that is often overlooked is the potential for duplicate content, which could have a negative impact on your SEO ranking. Google does not like duplicate content and in order to avoid this, you would have to establish canonical tags. So, while it seems like a great idea for mobile site optimization to create a mobile website completely separate from your desktop site, this tactic could end up hurting your SERP rank if you don’t do it correctly and implement canonical tags. The last option, dynamic serving, is also supported by Google, however, it’s more complicated and a lot easier to make a mistake than a responsive design. Dynamic serving uses the same URL for the site, like responsive design, however, it sends different files and codes depending on what kind of device you are accessing the site from. So, although you can optimize your website for mobile friendly SEO practices using any of these options, a responsive design is the easiest to set up, easiest to maintain, and the design recommended by Google. One thing that gets easily overlooked when optimizing websites with mobile friendly SEO is the actual intent of the user. SEO experts and amateurs alike agree that the main goal of your website should be to create an amazing user experience. When a user visits a site that is inherently easy to use and gives them value, they then respond. This leads to greater engagement and overall conversions. So, think about the call to action(s) on your site and how they affect the usability of your mobile site. When visitors are accessing your site from their smartphone, often it is because they are on the go and ready to call or stop in. So, that phone number that you have on your site? Make sure that it is near the top and is an easily seen, clickable link that will make it easy for customers to get in touch quickly. This is the same for your business address. You want users to have a convenient, quick way to get directions. When users have to search deep in your site to find these things, often it results in them leaving your site and going to a competitor- where this information is much easier to find. Mobile friendly SEO practices can help you keep visitors on your site. Lastly, if you have a physical address for your business and serve customers face to face, make sure you have a Google My Business set up. This is how searchers can easily find your phone number and address when they search for your brand. It makes it super convenient for them to get the info needed to call or come in and possibly make a purchase. Page speed, page speed, page speed. When it comes to mobile friendly SEO practices, we can’t say it enough! One of the biggest factors Google looks at when ranking sites is page speed. Google wants users to have the best user experience (and I’m assuming you do as well). And this means that your site can’t take more than a couple seconds to load. We’ve all been on the user end when dealing with a slow-loading webpage- we have clicked on a site from the SERP and see a blank white screen in front of us. And because we are used to lightning fast loading speeds, we are too impatient and can’t stand sitting and waiting for the page to load. So, what do we do? We go back to the SERP and find a different site to meet our needs. So, how do you fix this? One easy way to increase the speed of your site for mobile site optimization is to use AMP. AMP stands for Accelerated Mobile Pages and loads content quicker for mobile users. AMP delivers content from cache servers instead of the original site, which is how it is able to deliver content faster. Another mobile friendly SEO practice to improve your page speed is to optimize the images on your site. Images are a major reason for slow loading web pages. Make sure you are using image compression, choosing the right image format, and optimizing image alt text. This way users won’t be sitting there waiting for your page to load, or even worse, moving on to a competitor’s page. Don’t let your site be the one that users immediately leave because the page speed is too slow. Use AMP and optimize your images to increase your page speed and keep users on your site instead of going to your competitor. Our last mobile friendly SEO tip for you today is to manually test your site from a mobile device and fix what you don’t like. You may go on to your site and keep accidentally clicking the wrong button on the menu because they are too close together. Or maybe you notice that your “Contact Me” form looks great, but you can’t actually fill it out correctly from your mobile device. All of these things add up to users. With the number of websites that currently exist and new ones being created every day, competition is only getting fiercer and making mobile friendly SEO practices more important. If a visitor gets frustrated trying to use your site, they aren’t going to stick around and wait for you to figure it out. They will go out and find someone else who gives them a better user experience while still meeting their needs. One way to look at how your site is performing in the user’s eyes is to explore your exit page reports using a mobile device filter. This report can be found in Google Analytics under “Site Content” reports. Notice which page(s) users are exiting most frequently. If this is a purchase confirmation or thank you page, great! That means most of your visitors are not exiting your site until after they have made whatever conversion you have set up. However, if most users are exiting a product page, you will want to figure out why. Is some function of the page not working correctly? Exit page reporting can help you identify the pages that might have issues with the user experience. One of the first things we do for our clients here at Firetoss is a manual mobile SEO audit. This allows us to go into the site just like a customer would and see what works and what doesn’t. 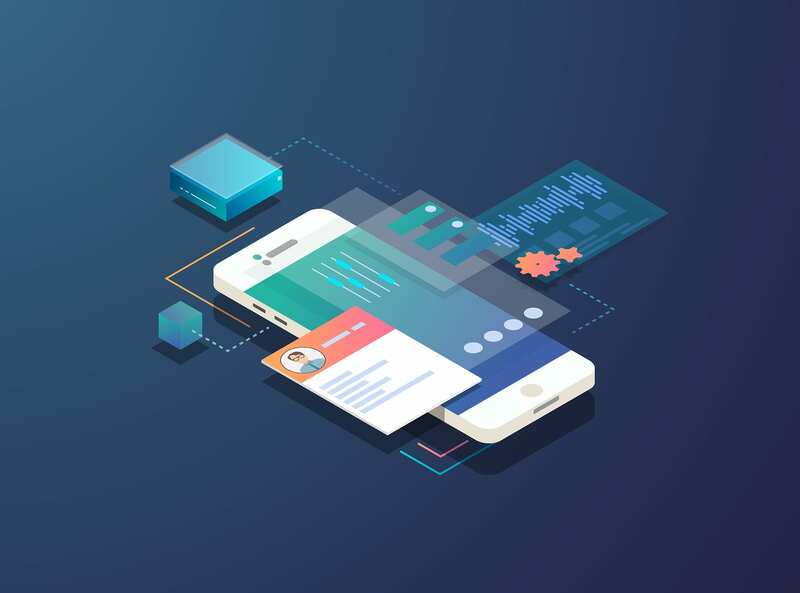 Putting yourself in the user’s shoes will give you some of the greatest insights into how you can improve your mobile site. So, although a lot goes into optimizing your website for mobile users, these are five easy, mobile friendly SEO tips to get you started! With the new mobile-first index, Google will be crawling your mobile site before they crawl your desktop site. This means that it’s more important than ever before to have a great mobile site. So, take these tips and get started optimizing your own website for mobile users! If you feel like you don’t have the time or energy to tackle these tips, you can always contact us about our own SEO services where we audit and fix all of the issues listed above as well as many others! When used effectively, Google Adwords can be extremely profitable to your business. Unfortunately, there are often mistakes that end up costing your business and leaving you extremely unsatisfied with your ROI from Google Adwords. Initially, this sounds great. You get to spend less time building complex keyword lists, and you are able to bring in more traffic to your website. This is all fine and dandy except for the fact that a sizable portion of this “additional” traffic you are bringing in may not even be in the market for your product or service at all. A prime example of this is an Adwords campaign I took over for a company that sells products related to horse jumping and dressage. They had been bidding on the keyword “horse jumps for sale” using broad match. When I dove into the search terms that were triggering this keyword I noticed there were many search terms where it was obvious people were looking for something other than the products this company sold. Some of these examples were: “horse jumping simulator”, “horse games for girls”, “girl horse for sale”, “toy bouncing house”, “3d horse games”, and the list just kept on going. This company had been wasting money for months on end, simply because they put too much faith in broad match. So how should you go about combating this? I am a big fan of using the modified broad match type. This still gives Google some flexibility so you don’t have to spend days of your life building exhaustive keyword lists, but it still gives you enough control to eliminate the irrelevant searches. One of my favorite things about Google Adwords is how well you are able to track the effectiveness of this advertising method. Which is why you may be shocked to learn that not tracking conversions is the most common Google Adwords mistake I see. You would be amazed at how many companies are spending thousands of dollars a month using Google Adwords, without tracking what benefit they are getting from that traffic. Are they buying products? Are they filling out the ‘Contact Us’ form? Are they requesting a free demo? Without proper conversion tracking your guess is as good as mine. Tracking what the users do on your site after clicking on your ad, is key in determining if Google Adwords is profitable for your business. Not only is this an essential step to determining overall ROI of the campaign, but it also gives you insights into which keywords or ads are performing best for you. With conversion tracking in place you are able to see which keywords are bringing in visitors that convert, as well as, which ads have the highest chance of bringing in a converting user. You may learn that people who are searching for “maids in salt lake city” are much less likely to convert than people who are searching for “cleaning service in salt lake city” or that your ad mentioning Free Shipping is bringing in more converting users than your ad talking about Quality Guarantee. The goal of Google Adwords is to bring in converting users for the lowest price, but if you don’t know which users are converting, how will you ever achieve this goal? The homepage of your website looks great. No really, it does. However, it may not be the best page to send your Adwords traffic to. When evaluating a landing page I look at three criteria; is it relevant to the search of the visitor, does it provide enough information to answer their question or solve their need, and does it have a prominent call to action? If your homepage is built to do this, then I encourage you to use this as your landing page, but in many instances this won’t be the case. This is especially true with a company that has different categories of their product or service. If you are an eCommerce clothing store that is bringing in traffic for people searching for men’s shirts, men’s hats, and men’s pants, then I implore you to send that traffic to those relevant category pages rather than the home page. If there’s one thing I have learned throughout my time of being a digital marketer, it is that people on the internet are inherently lazy. When they click on result for their search term, they want the answer to be in front of them immediately. They do not want to have to click into the category page, regardless of how easy you think it is to navigate there. If someone clicks on your ad and is sent to a page that doesn’t solve their need, they will more than likely click on the back button and try a different listing. This is a wasted click that costs you money. Sending traffic to the most relevant landing page possible in relation to the what they are searching for is key to Adwords success. There is no easier way to waste money on Adwords than to show your ads to people who are outside of your serviceable location. If you are an online store that only ships within the USA or a local business who only operates in a particular city, then location targeting is a must. Adwords makes it easy to target either a particular location or a radius around a particular location. Ensure that all of your campaigns are only targeting the locations that make sense for your business. You can also double check that this is the case by going into Google Analytics. If you segment out only traffic coming in from Google Adwords, and look at where these users are coming from, you will quickly be able to tell how effective or accurate your location targeting is. In Google Adwords, negative keywords are your friend. Hell, they may even be your lover. Adding negative keyword lists allows you to filter out traffic that may fit your keyword targeting but doesn’t fit your target demographic. In other words, they save you money. For instance, people search online for many products or services using the word “free”. If you do not offer a free option for users, then this may be a great opportunity for a negative keyword. When building out campaigns, think about what keywords may trigger your ads that you want to block out. Do you not sell used items? Are your products specific to either men or women? These are examples of things to think about when building your initial keyword list. Once you have your campaign built out, the negative keywords don’t stop there. I routinely examine the Search Terms Report looking for search terms that don’t fit my target customer. If there is a word or phrase that you routinely see that makes these users not your ideal customer, simply add that word or phrase to your negative keyword list. The more you build out this list the less irrelevant traffic you will be paying for, saving your money for the customers that matter. 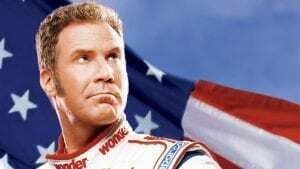 Ricky Bobby from Talladega Nights lives his life by the phrase, “if you ain’t first, yer last.” This may be true in some instances, but definitely not when it comes to Google Adwords. Being the top position may be a great confidence booster, but it doesn’t always mean you are getting the best ROI out of your Adwords campaign. For many highly competitive markets, paying for the #1 spot means you are shelling out some serious cash. Many times you will be able to get enough clicks to exhaust your budget by routinely being in the #2 or #3 spot. This means you are getting clicks at a cheaper cost than the #1 spot. There have also been studies done to show that conversion rate does not vary with ad position. Too many people keep raising their bid price until they see that average position hit 1.0, which is a great way to overpay for your clicks. I like to keep my average position somewhere between 1.8 – 2.5 to ensure that I am not being buried at the bottom of the page but I am also not overpaying for my clicks. Feel free to contact us! We would be happy to help with any of your marketing or website needs. SEO stands for Search Engine Optimization. SEO is the process of increasing your website traffic from search engines like Google by leveraging search engine friendly elements on your website, as well as outside signals that help search engines determine your reliability. At Firetoss, we address three types of ranking factors when optimizing a website: on-page factors, off-page factors, and user behavior factors. The basic idea is that by optimizing for these factors, your website will rank higher for important search terms that your target audience is searching for on Google. Google uses a complex formula to rank websites called an algorithm. There are hundreds of factors that go into this algorithm, and the importance of different factors varies. Google’s end goal when a user enters a search is to deliver the best search results possible. When a keyword is entered into Google, Google crawls the web and looks for the web pages that are most relevant to that keyword. Searching on Google is a lot like asking a question. The goal of search engines is to provide the best answers to your questions. So figure out what keywords or phrases you want to rank for, and ask yourself: how well does my web page provide an answer to that search? For example, if someone searches for window blinds Utah , Google wants to show you results that best communicate that they are about window blinds in Utah. Google looks for expertise, authority, and trust when crawling the web. The sites that prove they are experts on that subject will get rewarded with higher rankings. Keywords are the core of SEO. When deciding what keywords you want to focus on, you need to think about a few things. The first thing you need to think about when choosing keywords is your target audience. Research what you think your best customers will search for. For instance, say a parent with a troubled teen searches help for troubled teens, but another parent in the same situation searches wilderness therapy. The first parent is early in the research stage of finding a solution. They could be searching for a number of things related to helping troubled teens. In contrast, the parent that is searching for wilderness therapy is clearly aware that wilderness therapy is a solution to help troubled teens, and is specifically looking for more in-depth information. To go a step further, if someone searches for best wilderness therapy programs we can assume they have high interest in enrolling their child in a program and are now comparing reputations among different programs. If you ran a wilderness program for troubled teens, it would be beneficial to rank for all three terms. Keywords that contain wilderness therapy, however, are going to attract a more targeted user because they are already aware of the programs, and are now relying on Google to tell them what their best options are for wilderness therapy. The second part of keyword research is just as crucial. Search volume is a huge deciding factor when analyzing what keywords you want to rank for. As I already expressed, it is important to try and figure out what your best customers will search for. Before we decide to optimize around that keyword, we need to make sure people actually search for that term. By using a keyword tool like Google’s Keyword Planner you can look up search volume for different keywords and get new ideas for relevant searches that are also getting traffic. You will notice that broad terms like search engine optimization have a very high amount of searches, where something more specific like Utah SEO services will have fewer searches, but is much more targeted of an audience. What does it take to rank? Well, Google’s algorithm is very complex. With over 200 ranking factors that influence how Google ranks websites, there is a lot to consider. Despite having so many factors at play, there are some that carry a larger influence than others. Below are three different categories of ranking factors, and some of the most important ranking signals. These ranking factors relate to elements on your website that influence ranking. The following factors are some of the most crucial on-page elements to optimize. Having your focus keywords integrated into the first 5 of these is key. When we say off-page factors we are talking about signals from outside sources that help Google understand how trustworthy your site is. Here are a few off-page factors for you to consider. Quantity and quality of reviews on sites like Google, Facebook, Yelp, etc. Having relevant, authoritative sites link to your website is a significant factor. Think of links as votes for why a website should rank. Links from trusted, authoritative sites carry more weight than links from lower quality sites, so obtaining quality links is key. How a user interacts with your site is an indicator to Google on the quality of your website as a search result. Think about the following questions. How many people are clicking on your search result in Google? How long are people staying on your site? Do people go to multiple pages once they land on your site? If you are receiving a high volume of clicks and users are spending quality time on your site, Google will take that as an indication that your web page offers a good answer to their query. SEO has one of the best ROI’s in all of advertising. This is because you are able to market to people in the exact moment when they are searching for the products or services that your business provides. If you rank well for your most important search terms, you have an incredible opportunity to prove to potential customers that they should do business with you. Who can’t see the value in that? Questions? We would love to hear from you. Contact us HERE. Here at Firetoss, we’ve had the pleasure of working with a variety of clients doing everything from marketing to web development. While we do appreciate all of our clients, we want to highlight Blind Spot. Blind Spot is Utah’s premier choice for quality name brand window blinds, window shutters, window shades and much more. They are a family owned company that has been around since 2003. What really stands out with Blind Spot is that they provide the latest trends, styles, and designs in window coverings at affordable prices. Since Blind Spot has come to Firetoss, their organic visits have gone up 116%. They have also been ranking on the first page of Google for keywords such as “window coverings Utah,” “window blinds Utah” and many more in their industry. As one of our marketing clients, we have built Blind Spot’s social media presence up with the use of unique content and specially selected articles that pertain to their business. We truly believe in the work we do for Blind Spot and all our clients. We love seeing the results and helping their businesses grow. To see Blind Spot’s results, Google “window coverings Utah” now! During the past several years the conversation around truck driver shortages has deepened once again. Motor carriers are looking for alternative solutions to common problems that will increase the quality of driving positions in an effort to recruit and retain qualified drivers. Although there are great strides being made in transforming and refining logistics, the aging population of drivers, the decrease in new drivers entering in to the market and the increase in demand for trucking are all combining to create a serious problem for our country. In 2015, the American Trucking Association (ATA) released a report on shortages in truck driver recruiting that cites a deficit of 48,000 drivers by the end of 2015 and an estimated 175,000 driver shortage by 2024. Although this trend in driver deficits needs to be corrected there are many things a trucking company can do to increase driver retention and optimize their online recruiting funnels. I’ve spent a great deal of time in the past 2 years traveling and speaking to heads of trucking at conventions and conferences about what can be done to solve frictional employment problems in the current population of qualified drivers. There exists a tremendous opportunity for forward thinking trucking companies to capitalize on the shift to digital job applications and optimize their recruiting funnels before other trucking companies realize how much web traffic they are missing. I first realized that there were increasing trends in driver searches when preparing to speak in Ohio at their 2014 trucking convention. Online search through search engines such as Google and Bing have become a fast and efficient way to search for a career upgrade while stopped at a truck stop. We’ve been able to identify through marketing campaigns the past couple years that the majority of qualified drivers are searching using mobile devices while they’re at work. There isn’t “time” nor is it convenient to put on a shirt and tie and request applications in person anymore. The currency of the job search is accurate and has timely information coupled with an easy user experience online. 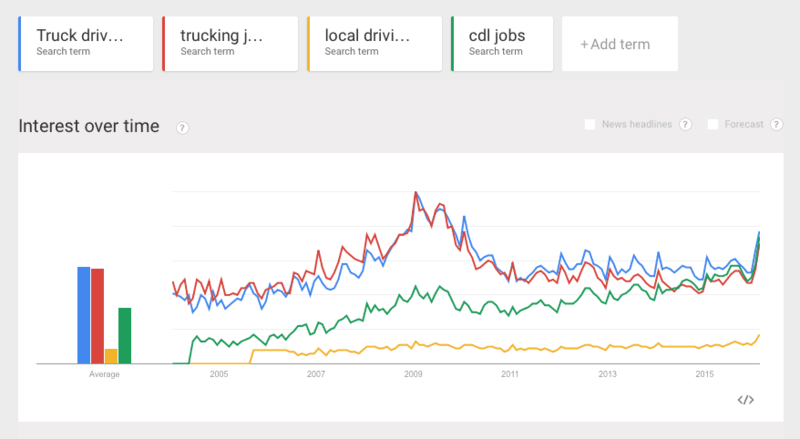 In the chart on the right, you see the trends of Google searches for four keywords or search phrases related to finding a trucking job. There is a steady rising trend in search volume except for the period from 2008 to 2011 where searches spiked. The loss of jobs in that period of downturn caused an unusual number of job searches in those 2 years. The past 4 years, searches have risen steadily and are now spiking again in the beginning of 2016. This rise in search volume is not indicative of an influx of new drivers in the marketplace, but a representation of something economists call frictional unemployment. Frictional unemployment refers to the natural turnover in an industry due to job searchers changing companies. As qualified drivers search, the handheld internet device has proven to be the most convenient method. 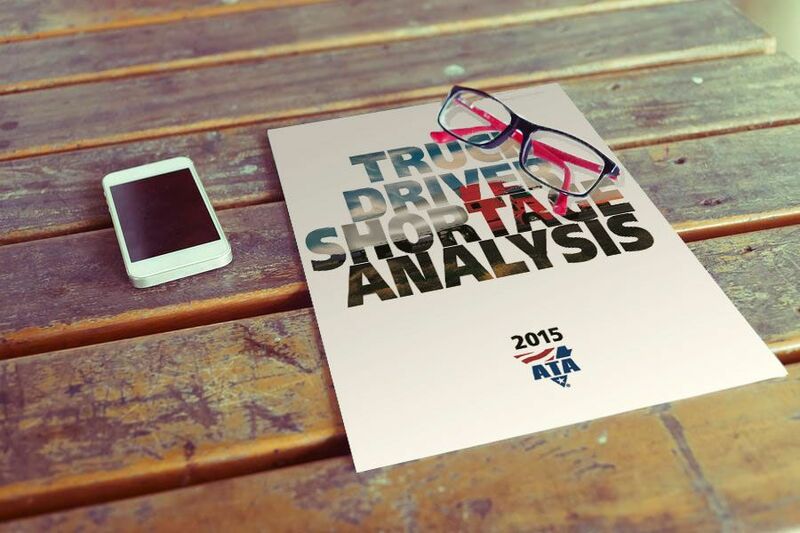 As the CEO of a Marketing and Advertising Firm in Salt Lake City, Utah that specializes in solving challenges for small to medium trucking companies, I have spent a great deal of time evaluating the state of driver recruiting problems. We find that there are a large number of trucking companies that undervalue their recruiting funnels online. Because digital marketing and a strong web presence have not historically been a key to success in the trucking industry, many companies are several years behind current technology in mobile websites. A complete and mobile optimized website with a well designed application process is the key to getting the attention of top drivers in 2016. In order to help our clients understand the facets of a well designed recruiting funnel online we’ve created some internal tools for education and awareness. We find that many of the intricate details of mobile websites and recruiting processes online are too complex and difficult to comprehend for recruiting managers at trucking companies. It takes many years of study and investigation to really fully conceptualize a full online system. In an effort to simplify the evaluation process we have create a few checkpoints and resources to decide if a site needs to be rebuilt, remodeled or lightly optimized. Google has provided a new tool (2014) to test your website on a virtual mobile device. It is simple to use and fairly easy to understand the results. You can find the link to the tool in our free tool section. One of the most common problems it the lack of relevant content on the mobile version of sites. The tool will load your website with the image of a mobile device and will show you how Google views your page. And, even further, many trucking companies don’t have a current website that is optimize for mobile. This tool provides a list of the elements that will need to be updated and fixed. We use this on each new client’s website to determine where our time and efforts need to be focused. If you drill down into specific problems you will see that it can get very technical so this is where you will need a professional firm. We provide a free resource that can also be found in our free tools section. The Firetoss Search Ranking Site Scan takes about 2 mins to run. It will allow you to submit your web address or URL into our system and measure it against a particular search term. This has extended value beyond driver recruiting. You can use this tool to discover how you rank for any possible search on Google. This system is linked to our internal software that runs a constant evaluation of over 400 factors related to websites and why they rank for searches on Google. We have selected the top 20 factors and created this tool to quickly evaluate site rankings. Once you submit your URL you can list a search term such as “truck driving jobs”. You should try to use a term that is defined by geography as well such as “truck driving jobs Austin, Texas”. This will allow the tool to identify your local competitors. The results will show your website with a side by side comparison of your top two online threats. Those threats may be job boards such as Indeed or they may be direct carrier competitors. Although shortages in trucking are prevalent at the national level, there are a number of actions any single trucking company can take to capitalize on the frictional unemployment or transfer of active workforce through turnover. Optimizing online funnels to provide the best experience to drivers as they evaluate companies and search for driving opportunities will increase your exposure and put you back in a position of dominance in the recruiting process. All of Your Content Marketing Questions, Answered. Get answers to all of those content marketing questions you were too afraid to ask in business school — secure your spot in this year’s SLCircle Marketing Bootcamp, November 17 at 5:30pm in the Zion’s Bank Building. Join us for an evening of food, drink, and not-so-awkward conversation with fellow marketing professionals and industry experts in the Salt Lake City area. Keynote speaker Tony Passey, Firetoss CEO and Professor of Marketing at the Eccles School of Business, will unveil everything you need to know about developing a campaign strategy that actually works for your business. Tony Passey will use real-world case studies to help your brand find the right messaging, channels and audience to navigate your business through the noisy, content-filled digital space. So don’t be shy — make an appearance and learn how to make a lasting impact with your brand. Limited spots are available – get your tickets for only $12 here until the raise to $15, three days before. Get ready to whip your personal and corporate brand into shape! One of our favorite things to do as digital marketers is to share our knowledge with others to help them grow their businesses. Today, our CEO, Tony Passey, spoke at the SLCircle’s ‘Learning Lunch’ and gave a workshop on Display Advertising Technology. Many digital marketing workshops consist of the basics, like SEO, but we wanted to switch it up and have a discussion based more around the technology of display advertising. Watch the full-length discussion and be sure to save the slides for later! Thank you so much to SLCircle and Holodeck for hosting us. We’re counting down the days until the Marketing Boot Camp!